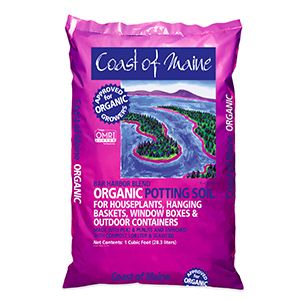 When it comes to potting soils and planting mixes, there are so many choices out there. 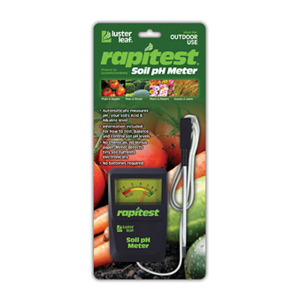 Do we know what’s really important to the seasoned hobbyist when they shop for soils? What about the newcomer about to get their hands dirty for the first time? What’s communicated to the consumer ON the bag regarding what’s IN the bag? Let’s examine some of the top-selling potting soil products and the benefits that are pitched by the manufacturers. With garden centers and nurseries today, a premium is made to stock and sell independent-only brands… and be profitable in selling them. 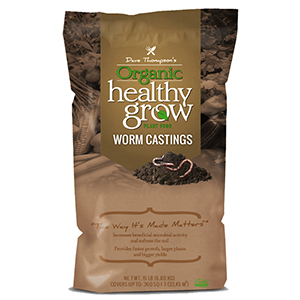 With Miracle Gro potting soil deeply entrenched in the box stores over the past two decades, validating quality soils to sell with easy-to-read (and well-branded) packaging is a must for any garden center owner. Schultz was the first company to introduce great packaging with gusseted bottoms to stand up neatly on the shelf and also withstand the weather elements. Today’s manufacturers produce great packaging that’s not only colorful with informative labels, but also includes features like zip-lock tops, a family of related products and quality ingredients. Let’s look beyond the beauty of the package and examine what’s inside (ingredients! ), which really personifies each vendor offering. 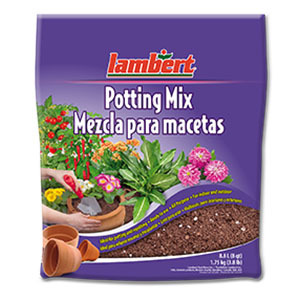 Today’s potting soils and planting mixes are carefully formulated and blended, with each component bringing something important to the recipe. 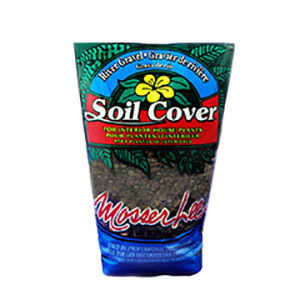 The most common ingredient is peat moss, which varies in quality, screen or particle size, and percentage of mix formula. Another observation might also be color, which is a trait of Lambert’s harvesting peat bogs. Lambert produces Sphagnum peat ranging in color from blond to brown to black, depending on where in the bog it’s been harvested. Brown is most common among retail mixes. Blond is preferred for seed germination. Black is popular among mushroom growers. 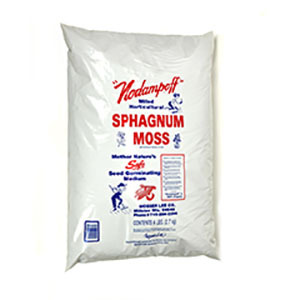 The percentage of Sphagnum peat can range from 40-75% depending on the mix. 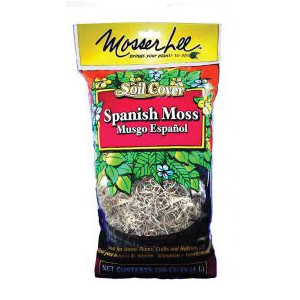 An example of Espoma’s Potting Soil Mix sports a 45-55% formula of sphagnum peat moss. Products with a higher percentage of peat are more challenging to wet once they’ve dried out, as peat repels water, too. 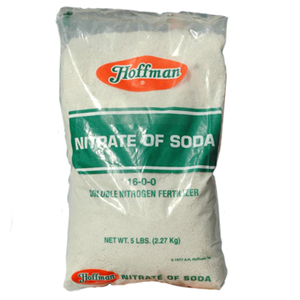 Another necessary ingredient in most retail soils is dolomitic limestone, to help adjust the pH right out of the bag. 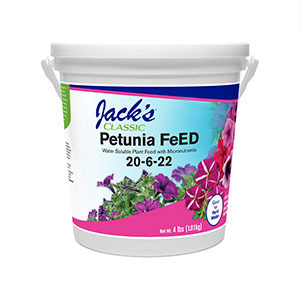 With common additions of humus and perlite, you have the bulk of soil recipes covered in many products. Now just like crafted beers, the buck certainly stops here. You see, each potting soil/planting mix is also handcrafted with additional active ingredients to optimize plant performance. Different actives provide different results. The trend continues by adding nutrients through selected organics to help naturally feed plants over time. The only remaining factor inside the bag to some varying degree is moisture content. 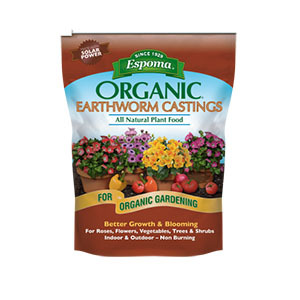 Upon further inspection of any high-quality potting mix bag, you’ll see a listing of natural and organic additives. 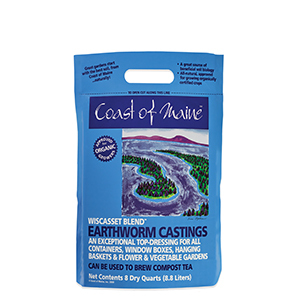 These may include earthworm castings, coconut coir (for water retention), alfalfa meal, gypsum, shrimp meal, crab or lobster meal (for added calcium, an important plant growth element), seaweed and various types of aged compost-based products (such as those produced by Coast of Maine). 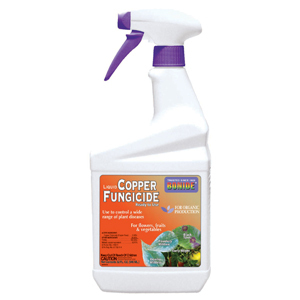 The recent addition of adding active mychorrhizae has been shown to reduce plant stress, enhance root systems and increase nutrient and water uptake. Sure, the cost goes up for premium products, but also consider the success rate for those consumers who are newbies to the garden. They need help to be successful with their planting endeavors. Healthy soil is paramount to growing healthy plants! We’re reminded daily about the importance of healthy living. The messages are everywhere, influencing how we think, how we shop and especially how we eat. If you’re reading labels in the grocery store to see calories, fat content, carbohydrates and ingredients to inform your purchasing decision, how long will it be before this carries over into the lawn and garden market? Or has it already? 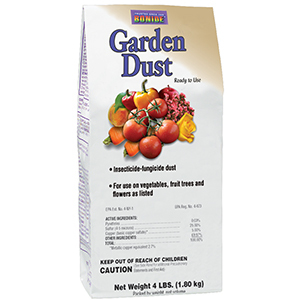 Are your customers looking at the labels of potting soils and mixes? Do they care if there are animal blood meals, manufactured fertilizers and artificial ingredients like starter charges in their garden soils? With the onset of legalized cannabis across the country and the potential for a new chapter in home gardening, do they search for purity, high quality and high performance in what they buy? Truthfully, it’s not tomorrow’s shopper, the time has come today. Don’t take what’s inside the bag for granted… just check the label! 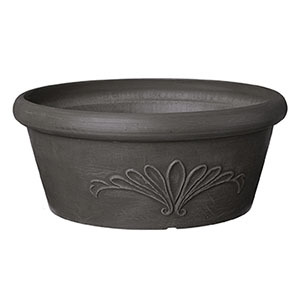 Bar Harbor Blend Premium Potting Soil 8 qt. Bar Harbor Blend Premium Potting Soil 1 cf. 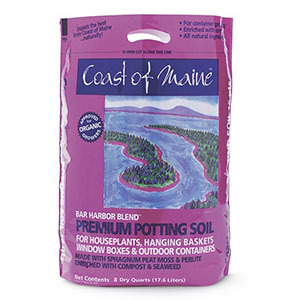 Bar Harbor Blend Premium Potting Soil 2 cf. 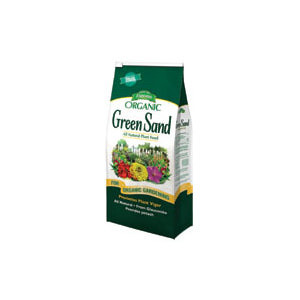 Organic Potting Mix 4 qt. 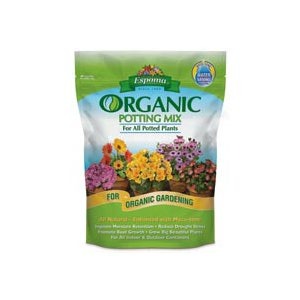 Organic Potting Mix 8 qt. 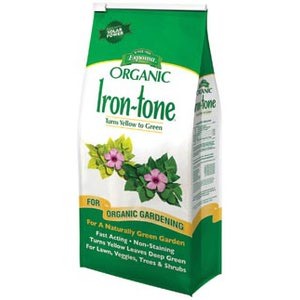 Organic Potting Mix 16 qt. 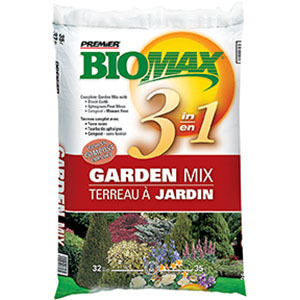 Organic Potting Mix 1 CU. 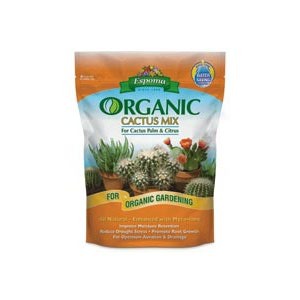 Organic Potting Mix 2 CU. 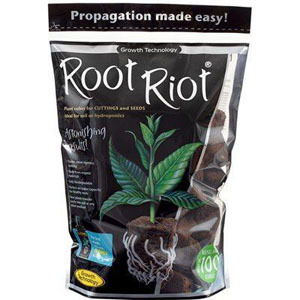 Purely Organic Potting Soil 8 qt. 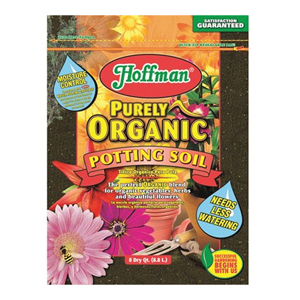 Purely Organic Potting Soil 16 qt. 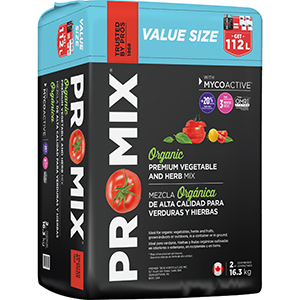 Organic Premium Vegetable & Herb Mix 16 qt. 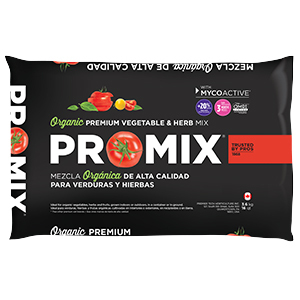 Organic Premium Vegetable & Herb Mix 1 CU. 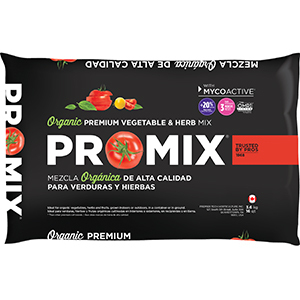 Organic Premium Vegetable & Herb Mix 2 CU. 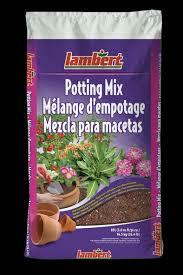 All Purpose Potting Mix 4 qt. 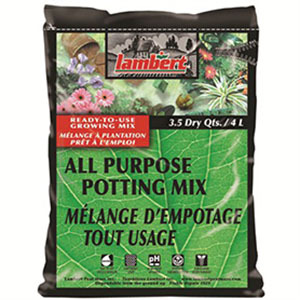 All Purpose Potting Mix 8 qt. 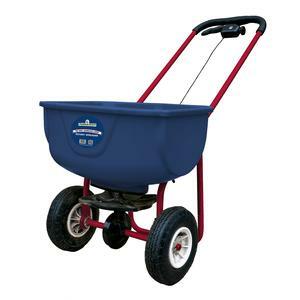 All Purpose Potting Mix 32 qt. It’s time to turn back the clock on something that’s been missing from the garden for many years: fragrance. Our national flower, the rose, was replaced by a low-maintenance alternative that blooms freely, has great disease resistance and is easy to grow. Since their introduction in 1998, Knock Out roses have changed the rose world and how flower breeders approach their work. Well, times have changed (again) and this is a feel-good article of returning to our (rose) roots. I can speak from experience on the topic of roses, as I’m a former consulting rosarian for the American Rose Society. Consumers couldn’t resist the mail order catalog from Jackson & Perkins to view the newest roses and flock to the nearest garden center to buy. The 1960s were dominated in sales by Peace (1945) and the first grandiflora rose variety, Queen Elizabeth (1955). The 1970s brought us First Prize (1971) and Double Delight (1977), which fascinated homeowners with both fragrance and amazing color. The 1980s introduced a new rose in a new class for the All-American Rose Selection winners, Bonica (1982). This was significant in that it was the first shrub rose to receive this award, and it’s changed the playing field ever since. Roses were a lot of work for gardeners, until the Knock Out rose. America chose to love this rose for its non-stop blooming, disease resistance, and vigorous growth. Fragrance, however, was not an option. The slow death of unique roses bred for amazing colors, plant habit and fragrance soon began to vanish because of diminished popularity. The Knock Out and its family of sports and hybrids outsells traditional roses two to one. Just plant it and forget it! It will outbloom a marigold and last a lot longer. There’s hope in consumers once again having exposure to fragrant rose varieties. Brindabella Roses from Suntory Flowers is the newest (and most fragrant) in landscape durable roses. Brindabella plants not only look pretty in the garden with their free-flowering habits, but bring back that old-world charm with their aroma. Check out Griffin’s newest rose varieties with our plant specialists. 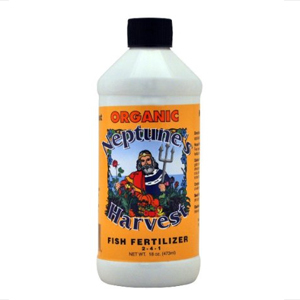 All that’s needed is 4-6 hours of direct sunlight, planting soil that’s been upgraded to include added organics, a soil PH of around 6.5 to 7.0 and a feeding schedule of fertilizers once every 4-6 weeks throughout the growing season for the best results. As a garden center or retailer that sells roses, make sure you identify the fragrant selections in your assortment. Where roses aren’t in demand, the consumer has shifted a buying focus on fragrant shrubs and perennials. Proven Winners continues to drive plant breeding to new heights. The ColorChoice flowering shrubs offer a huge selection of fragrant plants. Combined with new retail products that are time savers for plant care, there’s no better time for fragrance aficionados. It’s time to stop and smell the garden once again! March is the month wherein we peer out our windows, looking for a sign – any sign! – of spring. With each day we cross off the calendar, we hope for sunny days and returning warmer temperatures. One of the first wild birds to appear is the American Red Robin. When this beauty roams the ground for earthworms that move through warming topsoil, we know spring is on its way. Their sound is unmistakable. Here are some tips to entice the rest of the flock. 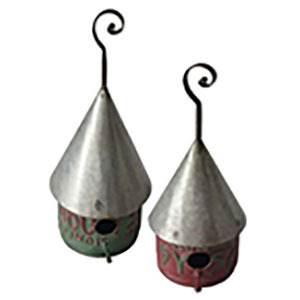 Billy Joel would be making plans now to install birdhouses of various types, to draw entertainment from wild bird species out on Long Island. Not all birds inhabit houses out in the open, but the opportunity is there for attracting the Purple Martin, whose voracious appetite for flying insects and mosquitoes will cut down populations throughout the summer months. This bird lives in colonies in multi-room houses erected on poles at least 12-18 feet into the air. Being the largest sparrow in North America, Purple Martins entertain with an air show of speed and agility wherever they nest. Besides a traditional 6- to 18-room house, homeowners may erect multiple gourds of various compositions. 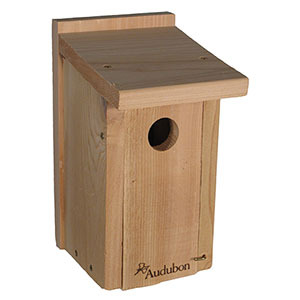 Another desired open-space bird species is the Eastern Bluebird. From Cold Spring Harbor to Arizona, consumers are fascinated with its beautiful color and unique song. The houses are usually specific in size of opening, constructed of untreated wood like cedar and hung in lightly forested areas. 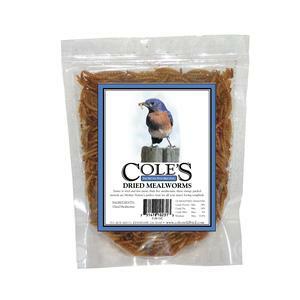 Bluebirds are similar to woodpeckers in that they prefer insects (mealworms) as their chosen food source. 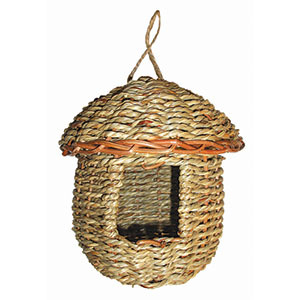 Consumers should provide nesting materials nearby for males to gather and place inside compartments. Walt Disney’s favorite song from Mary Poppins featured the British word tuppence which was a two pence (penny) bag of bird food. 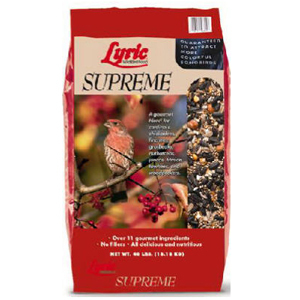 Today’s bird food options come at a much higher cost, but also a much higher quality. 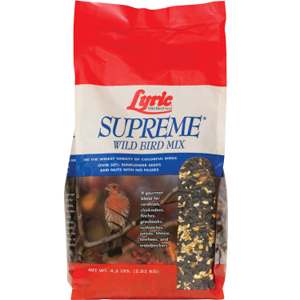 Mary’s bag of bread crumbs can’t compare to the elaborate mixtures of safflower, sunflower, pumpkin seed, fruits, nuts, suet kibbles and Niger seed that we have to offer. The hardest recommendation to make to the consumer is to spend a bit more for quality. 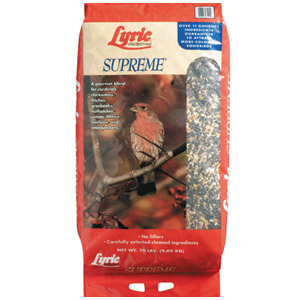 Since bird food is sold by weight, you can find cheap seed with lots of fillers and hulls in it. These are almost always discarded by the birds. 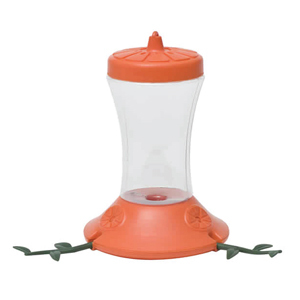 The more seed scraps the birds discard to the ground, the faster the feeder will empty. 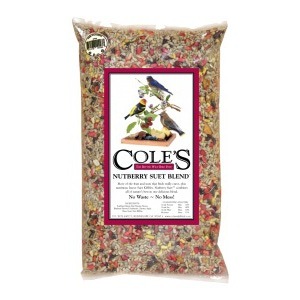 Clear bags of bird seed show exactly what you’re buying in terms of quality and cleanliness. 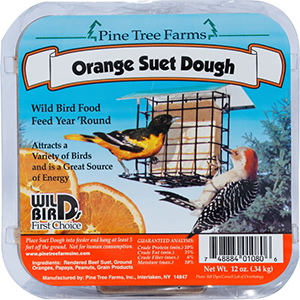 Keep in mind that the broader the variety of ingredients, the wider range of wild bird species are attracted. And, don’t forget their friends from the ‘hood might crash the party for their favorite foods: squirrels, chipmunks, raccoons and bears. Bobby Darin’s hit song has all the birds “rub-dub, just relaxin’ in the tub!” Introducing water to the backyard is critical to attracting wild birds of all species. It serves two purposes for the birds: hydration and hygiene. Birds frolic in the water to remove dirt and dust from their wings, and to keep their body temperature cool during hot and dry days. There are many styles and compositions to consider. 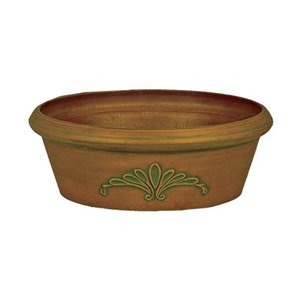 Plastic, concrete, ceramic, terra cotta are just some types for both standing and hanging bird baths. The key to success at home lies in the consumers’ ability to keep it filled and clean. Bacteria from stagnant water can be harmful to birds and wildlife. 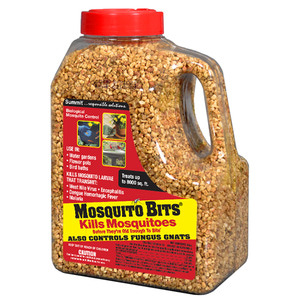 Advise customers to clean their new bird baths frequently with a pressure hose to quickly remove debris and feces. If mold or sticky film is present, a weak solution of water and bleach is a simple and fast remedy. 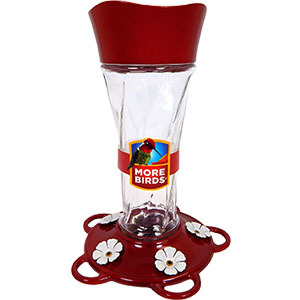 Make sure to allow the bird bath to dry completely before refilling. Time for your next track in April, Seals and Crofts’ “Hummingbird,” please! Timber can be a blessing or a curse, depending on the circumstances. With the last of the leaves falling to the ground, a small window of opportunity exists for tree pruning -- but we often don’t think about it until it’s too late. Many homeowners heavily prune their trees at improper times during the growing season. 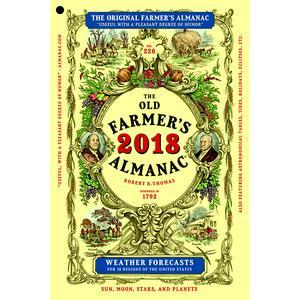 If you read through the Old Farmer’s Almanac, you’ll find suitable dates for suggested tree pruning. No kidding! Late fall and early winter are ideal times to trim away branches and limbs that might be weak or diseased before they break from the season’s wind, ice and snow load. With leaves out of the way, damaged or diseased branches become more clearly visible. 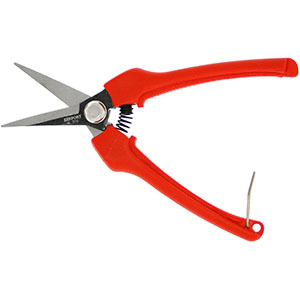 Since trees aren’t actively growing at this time, it’s safe to prune without causing harm. 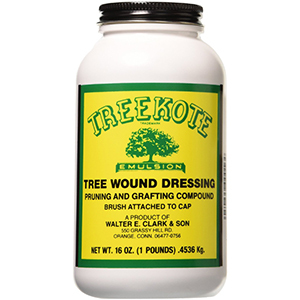 Make sure your shelves are stocked with a couple of products to protect fresh tree cuts. 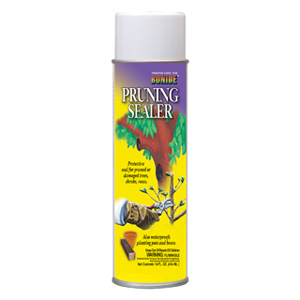 Pruning paint or pruning sealer spray, applied to fresh cuts, can help protect a tree against disease issues. 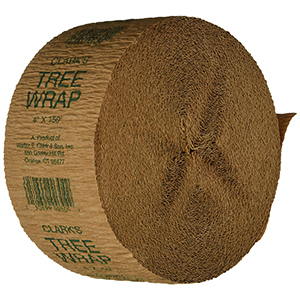 Some gardeners prefer to wrap damaged trunk bark as another measure to prevent future sun scald or insect damage. 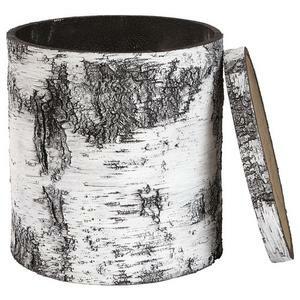 In areas with abundant rabbits and deer, protecting the bark of young trees is as easy as installing a plastic tree trunk protector. 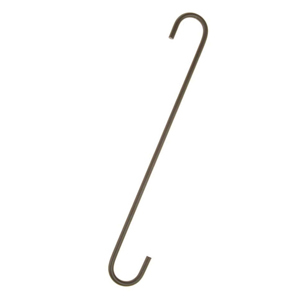 This is also a good time to check stakes and guidewires to ensure that newly planted trees are protected from harsh winter winds that may topple your evergreen or deciduous tree. Advise your customers to take time to inspect the wire or rope around their tree trunks. If it’s not secure or tight enough, it may girdle or cut into the bark causing severe damage when spring returns. 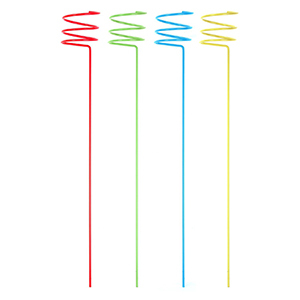 Cut up pieces of garden hose, usually 6-10 inches in length, make great and inexpensive sleeves around the wire or rope to help protect against rubbing. Specific tree species may have additional needs to tend prior to onset of winter. Tree roses, for example, are vulnerable to extreme winds and temperature swings. 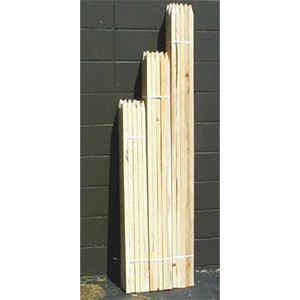 Many rosarians recommend installing four wooden stakes as a surround to attach a burlap wrap surrounding the plant after an application of Wilt Pruf. 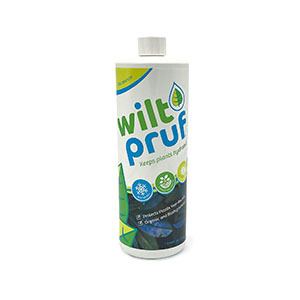 The Wilt Pruf is an anti-dessicant that prevents the plant canes and crown union from drying out. Another tree rose winter protection method is called “heeling.” If the tree rose is planted in the garden, you may choose to cut around the ball of the roots about half way around. Once this is performed, you may tilt and lay the entire tree rose stock on its side, and carefully secure it to the ground. 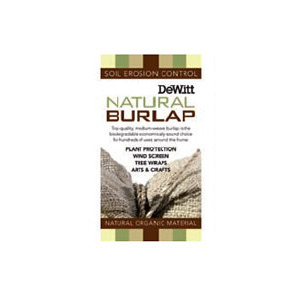 Cover the plant with mulch or straw and place a burlap cover over the top of your entire plant. 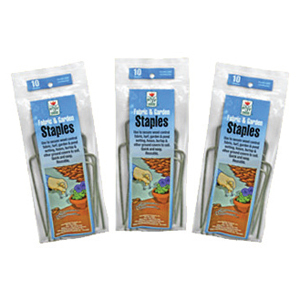 Use ground staples to keep the burlap in place from winter winds. Last but not least, urge your customers to keep an active eye out for heavy snow or ice on their tree branches during the winter. Some trees, like the densely branched Japanese maple, are very susceptible to breaking under the weight of wet snow. This can be prevented by brushing away snow from the branches soon after a new snowfall. Don’t delay this important garden chore or you might hear your trees whisper in the winter night: snap, crackle, pop… and timber! After a season of blooms and/or the bounty of nature’s harvest from the garden, many gardeners are now cleaning up debris and turning over soil to prepare for next season’s plantings. Breaking up compacted clumps and loosening decaying roots helps to add nutrients back into the soil. Fall is the best time to add composts and manures to rejuvenate nutrient-deficient or underperforming soil prior to winter. This old adage bears the wisdom (and experience) of farming today. We’re familiar with the concept of crop rotation and its many benefits: maximize soil nutrients by turning over crop waste, systematically manage different crops in the same area to minimize soil-borne diseases and soil-dwelling insects, reduce soil erosion, and increase soil yield and fertility. Do your customers know, too? For consumers with zero patience or those wanting a quick fertility solution, you’ll want to stock composts or manures that can be spaded or broadcast into the garden bed to fortify the soil over the winter months. Use signage or in-aisle staff to ensure your customers understand the value of adding soil supplements in the fall: The better the planting soil, the better the health and yield of your plants. For years, farmers have spread their share of fresh manures, allowing its decomposition to work wonders in the soil. Many homeowners, however, tend to turn their noses up at the fragrance. Fresh manures will provide some hot temperatures and some weed seeds that need to be managed over time. While fall weather provides warm days and cool nights, it’s also favorable for weed seeds to germinate and sprout. By adding manures to a compost pile of leaves and lawn clippings in the spring and summer, allowing it to work its magic over time via aeration and separation, a dark loamy soil is produced. 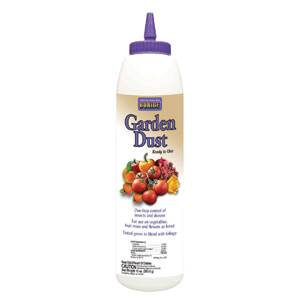 Rich in nitrogen, trace elements, microorganisms and worm castings, this top dressing delivers impressive results in the garden. But, it takes time to create a well-rotted, nutrient-rich manure. For the gardener who doesn’t have time or space to compost, bagged composted cow manure is a traditional go-to. This type of soil amendment is a moist, heavier manure that would clump right out of the bag. 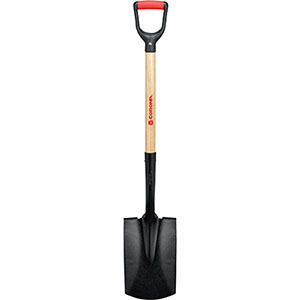 With a shovel or hoe in hand, a bit of elbow grease is needed to work it into the ground. Dehydrated manures provide the benefits of composted without the smell or moisture content. 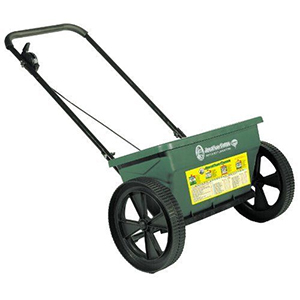 In many cases, these products may be applied to the lawn or garden bed through a spreader. 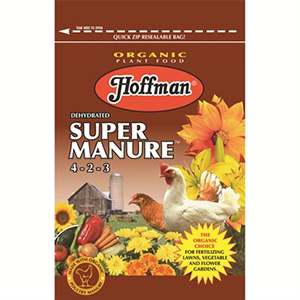 Hoffman’s Super Manure is one such dehydrated manure product that remains popular today. For a unique manure option, try Coop Poop. 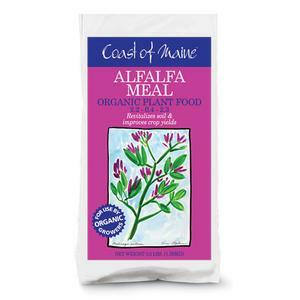 It’s an aerobically dehydrated chicken manure that’s all-natural and rich in humates. 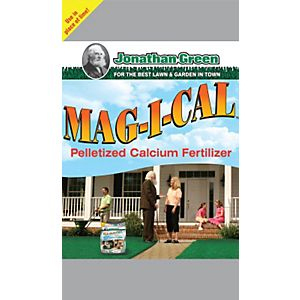 This slow-release, non-burning fertilizer enhances the soil and promotes root development and plant growth. 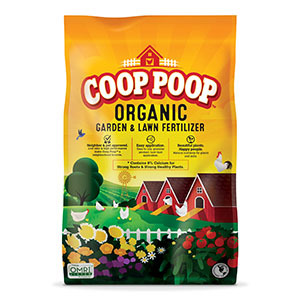 Coop Poop is also OMRI-listed and widely used by organic gardeners. 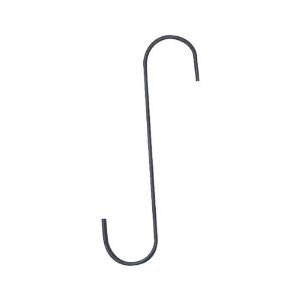 Our industry has developed some great products over the past decade or so for retail sales. 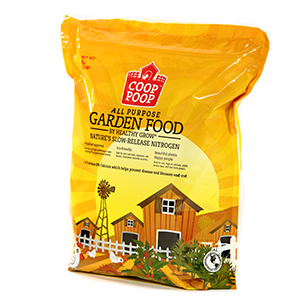 Premium composts like leaf compost, mushroom compost and lobster compost have exploded onto the garden scene with great success. 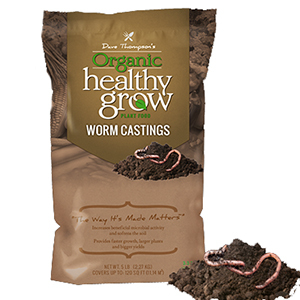 These products have superseded the traditional composts and are the unquestioned leaders of soil amendments today. 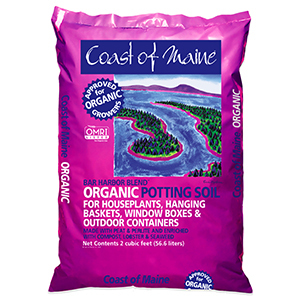 The Coast of Maine Quoddy Blend Lobster Compost comes from crushed and well-composted lobster shells. 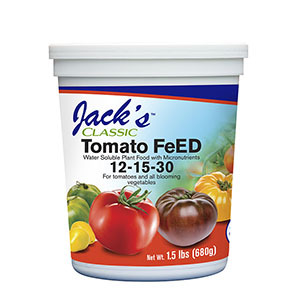 This product has the added benefit of naturally occurring calcium to combat blossom end rot on tomatoes. 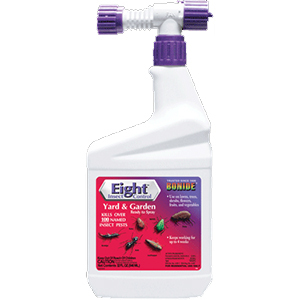 It’s a must-have product for vegetable gardens everywhere! 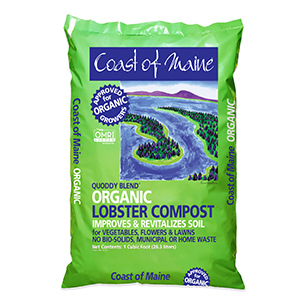 The Quoddy Blend Lobster Compost is OMRI-listed with no municipal wastes and no bio-solids. 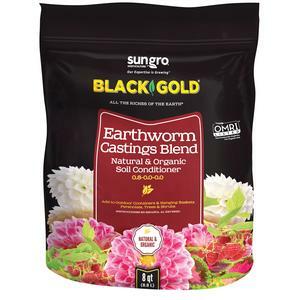 This premium compost will revitalize your customers’ home gardens. If your customers’ plants looked like they “pooped” out during the summer heat, maybe they should consider putting some “poop” in (or compost) during the fall, so they can plant in some “real dirt” come spring. 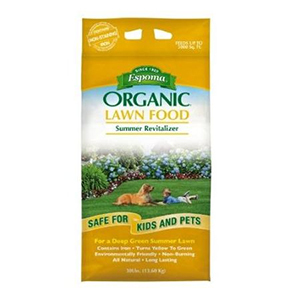 Organic Dehydrated Super Manure (4-2-3) 5 lb. 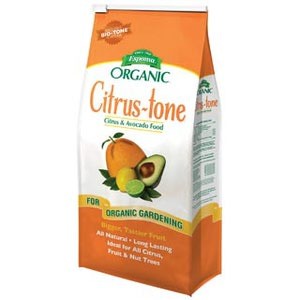 Organic Dehydrated Super Manure (4-2-3) 20 lb. Fall is on our doorstep and it’s time to turn our “prevention attention” from outdoor to indoor. From the first chilly night of the season, warm-blooded animals begin thinking about hibernation and look for openings and opportunities to take up winter residence. Insects are seeking warmer climates as well, and likely will find the smallest of cracks and crevices to enter your home. 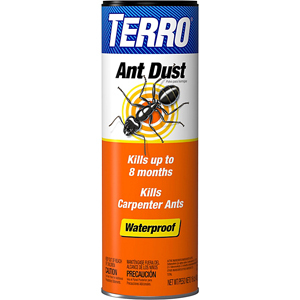 Be assured, no home is insect-free. 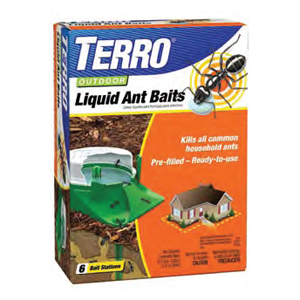 Advise your customers to closely survey the foundations of their homes to identify cracks and openings that insects or, if large enough, animals could gain entry. These should be sealed up before freezing weather sets in. 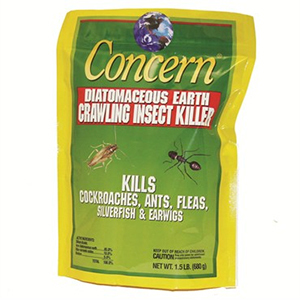 Common insects include ants, crickets, grasshoppers, earwigs, sowbugs, centipedes, spiders, bees, fruit flies, termites, and stink bugs. 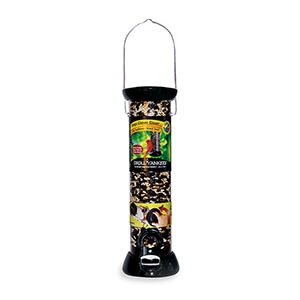 Common animals include chipmunks, squirrels and birds. Space between window frames and door frames can also be easily accessed. It’s an ideal time to install weather stripping. Observe the condition of your caulking around these frames, too. While weather is still warm, homeowners might caulk openings, especially when the ingredients are pliable and easily applied. Immediately inside the home, consumers should survey the ceilings, perimeter walls, and corners for spider webbing and promptly remove it. Remind your customers to vacuum carpets thoroughly to remove fleas and ticks that may have hitched a ride with their pets from outdoors. 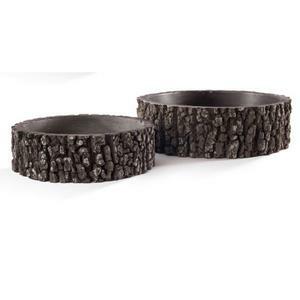 Fall is also a good time to replace flea collars and wash pet beds. 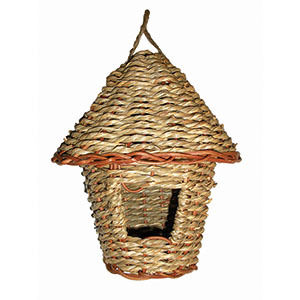 Upholstery should be moved and inspected, as these areas are a perfect sanctuary for overwintering insects. Pantry areas are often overlooked in spotting insect issues. Consumers should make time to remove outdated products including flours, grains and even seeds. This includes birdseed! Stocking birdseed inside for long periods of time may offer the perfect opportunity for grain weevils to hatch and emerge as tiny flying moths. 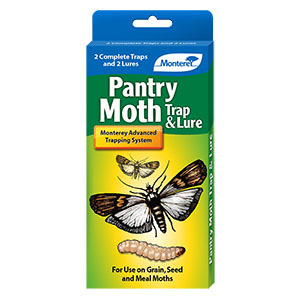 Since chemistry is not sprayed in areas of foodstuffs, options like the Pantry Pest Trap are highly recommended for indoor use. Encourage your customers to also give pantry shelves and floors a good wipe down using a suitable household cleaner labeled for use in cabinets and around foods. 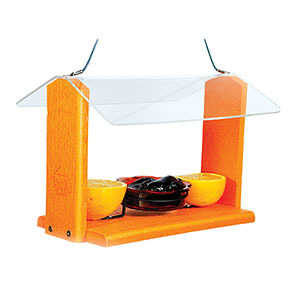 With the last of the harvest brought indoors, the occurrence of fruit fly is commonplace in homes. 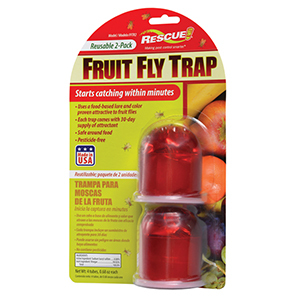 While remedies found on Pinterest can be questionable in their effectiveness, an indoor trap from Rescue is a safe and reliable option. 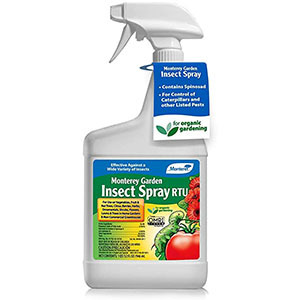 When selecting a chemical to treat any insect problem, consumers must review the product label to ensure it’s suitable for WHERE the product will be used. Some chemistry is only to be used OUTDOORS. 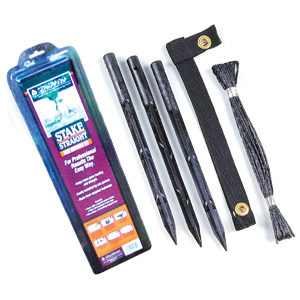 Other products are available for indoor use and indoor/outdoor (perimeter) use. 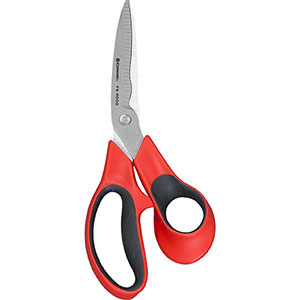 When applied as directed, these are safe to use around pets and children. Consider stocking several options to meet varying customer needs. Remind your customers to read the directions carefully. Most all directions clearly state that once you spray, you must make sure the solution is completely dry before allowing pets or children to reenter the area. You’ll also notice that precautionary declarations on the label will vary based on the type of chemical. Such messages are boldly stamped Caution, Warning or Danger. It’s rare to see anything available for indoor use besides a Caution label. Your choices for types of delivery vary from aerosols to the popular ready-to-spray chemicals. 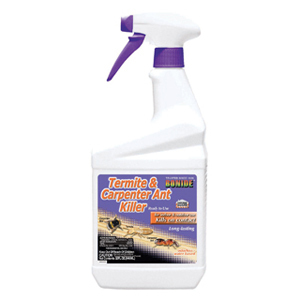 Perimeter sprays are popular among consumers for home insect control. 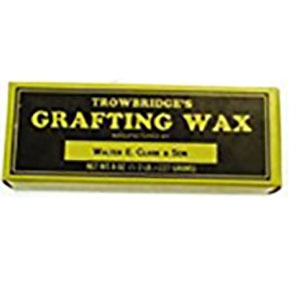 Such products are usually applied upwards along the foundation wall up to three feet from the ground. 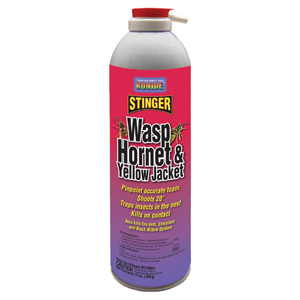 Spraying under door jambs, around outdoor window frames, and even patio and under garage doors will help prevent insects from entering your home. These long-term products last anywhere from three months to up to a year. When a customer needs further clarification on their chemical application, make sure they know where to go for help. Most products include a toll-free phone number on the product label, which consumers can use to contact the manufacturer directly. There may be another phone number for medical assistance. Whether you’re advising a homeowner customer or a store employee, the importance of personal protection can’t be overstated. Use common sense, of course, and don’t eat, drink or chew gum when applying chemicals. Cover exposed skin thoroughly and protect eyes from spray and drift. After an application is made, wash hands with soap and water, paper towel dry and dispose of materials properly as stated on the product bottle. Your key to success is knowing that the manufacturer makes these products safe when used as directed on the product label. Follow directions all the time, every time. This year’s spring and summer seasons were among the wettest in recent memory on the East Coast. Every region in the country has pendulum swings, alternating years of hot and dry weather with wet and cool conditions. This year, it was the East’s turn for a soaking. While the West Coast endures historic heat and drought, the East Coast has been pounded by a constant southerly flow of torrential rain, setting records for daily and monthly totals in many states along the Atlantic seaboard. Usually by summer’s end, East Coasters see signs of flowers, trees, and lawns in declining health. Not this year! Here are some tips to optimize lawns and gardens as you and your customers anticipate cooler fall weather on the horizon. Stepping into your backyard shouldn’t require rubber boots. With above-average rainfall, drainage issues are easy to spot when water doesn’t recede or disappear within a half hour or so. This standing water causes stress on turf grasses and can lead to lawn diseases if the turf is unable to dry out. The rate at which water percolates or drains through the topsoil slows when there’s nowhere for water to go or when the subsoil is severely compacted to restrict liquids from absorbing into the ground. While all that rain keeps the grass growing, the lawn mower can make a bad situation worse. Some turf diseases can be spread when a homeowner mows across an entire lawn area. The act of mowing itself, especially with dull, wet mower blades, can create further lawn stress. Advise your customers to keep their mower blades sharpened and engines tuned. Encourage them to raise the mower deck a notch or two higher – doing so will reduce drag on the mower engine, especially when the grass is wet. If water surrounds root systems long enough, it disrupts oxygen exchange for the plant, eventually killing off root development. 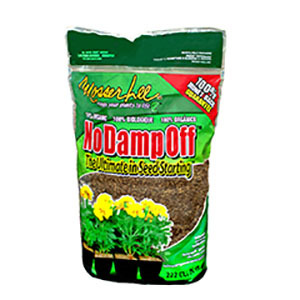 Top growth is reduced or, in extreme cases of waterlogged root systems, the plant suffocates. Lawn care specialists recommend using core aeration machines for immediate relief of compacted soils. These machines drill into the ground, pull out plugs and deposit them across the lawn’s surface. These holes are usually positioned two inches apart (and two inches deep) exposing crevices to allow air, water and eventually the soil that was just pulled to penetrate the surface. Competing plants like trees and shrubs can also drain nutrients and water away from turf grass. 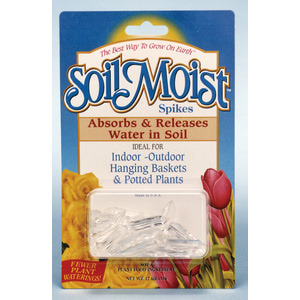 The technique of using core aeration along with a generous application of garden gypsum loosens the tension of the soil’s surface and allows water to eventually drain through or percolate. Another source of excess water runoff is from the homeowner’s gutter downspouts. The roof of a typical home collects a vast amount of water from its surface and deposits it into the gutters and eventually the downspouts. These channels of high-volume water can easily pool in areas that may not allow the water to move away from the house. Downspouts may be extended away from the home and divert or channel water further away from pooling in problem areas. Standing water is also a key breeding ground for mosquitoes. Populations can surge quickly if standing water is left undrained. 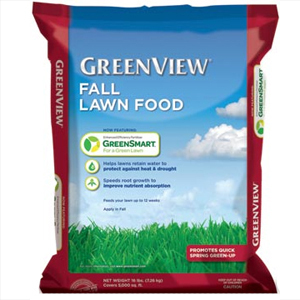 Fall is the optimum time to start grass seed! 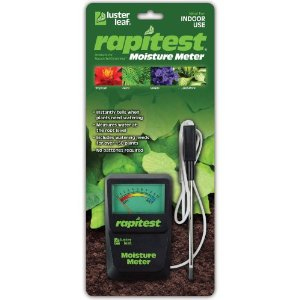 The days are still warm and the nights are cool, allowing the seed to receive adequate moisture and germinate quickly. Choose to stock only high-quality perennial grass seed types versus annual grass seed types to provide your customers with the greatest value. Advise your customers to be patient: Depending on the type of grass seed, germination may take up to three weeks. Their patience, however, will be rewarded. Before making a specific grass seed recommendation, engage with your customer to understand their lawn conditions. 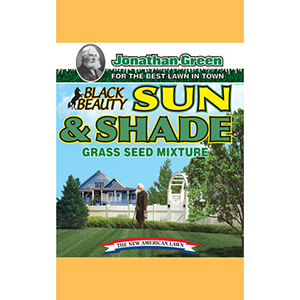 If the lawn receives full or near-full shade, they’ll need a seed that can thrive in densely shaded areas. Other types are optimized to perform in wet conditions. Poa trivialis is one of those types of grass seed that grows where others fail. 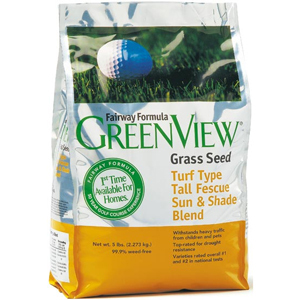 In many cases, a grass seed mixture (a blend of different types of grass seed) is often the best bet. The benefit of using a seed mixture is that one type of seed can establish when others won’t. 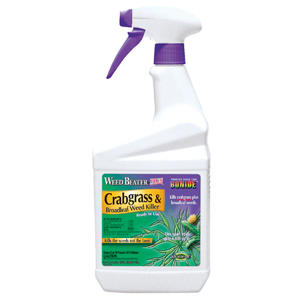 (Some types may include: ryegrass, hard or chewings fescues, turf-type fescue, and Kentucky bluegrass.) One key to success is to ensure good seed-to-soil contact between the grass seed with the ground. Another key is keeping the seed moist to establish germination. Whenever your customers are ready for their fall lawn renovation, encourage them to check the lawn’s pH as well. 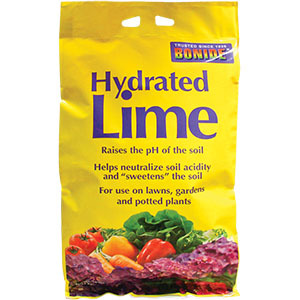 If soil is acidic, an application of lime is in order. This will allow their seed-starting fertilizer to work its best in supplying needed phosphorous to enhance root development. The quicker the spread of the root system, the easier it is to establish top growth of new grass seed by supplying nutrients needed for speedy uptake. 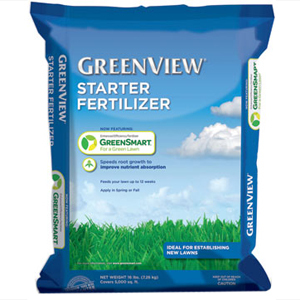 While new laws have eliminated the phosphorus content from almost all lawn bagged fertilizer product, seed-starting fertilizers are exempt and able to provide this important element within their formulas. Even if this summer was a washout where you live, there’s still time for meaningful lawn renovation. Your consultative selling and your customers’ efforts in the fall will yield positive results in the spring, with a greener and stronger lawn that’s better able to withstand future rainy seasons! 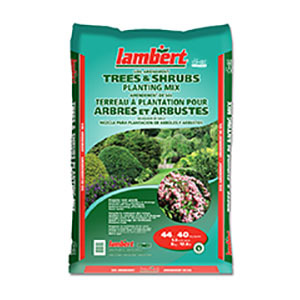 Pick a Starter Fertilizer & quality Grass Seed Mixture from one of these great manufacturers! Home gardening has enjoyed a centuries-long love affair with fruit trees. As far back as the 1750s, fruit trees had a prominent place in many backyard colonial gardens. Researchers at Colonial Williamsburg have explored documentation and excavation of many on-site water wells, revealing long-kept secrets of landscaping from our nation’s early years. Many native species of crab apple and cherry trees were bitter for consumption. We owe almost all of our fruit-tree origination to Europe. While nut-baring trees like chestnut and pecan were popular in the New World, fruit trees like apple, peach, plum, quince, pear and even nectarines arrived from overseas via coastal ports. Mostly dormant and bare-root plants were quickly planted on homeowner plots and in nearby orchards. While fruit trees have transitioned into niche status among newer generations, their fans are loyal. Homemade jellies and preserves, and fresh-picked fruit are seeing a resurgence in popularity. Mail-order catalogs have largely been replaced by the internet and hard-to-find heirloom cultivars are available. Over the past 30-40 years, homeowners have been discouraged by failures to produce good quality fruit, often due to lack of knowledge regarding tree care and maintenance. Fruit trees can also be insect magnets, especially for Japanese beetles and bees. When demand for fruit trees began to wane, supply soon followed suit. Citrus fruit is especially on-trend among younger consumers, driven at least in part by the craft beer industry. Many popular IPA and craft beers are infused with citrus flavors. The pacesetter for this was, without question, Corona beer, whose television commercials feature the signature lime wedge atop the beer bottleneck. A higher demand for lemon and lime trees has even changed the way we sell plant stock today. Grafting both lime and lemon onto the same rootstock has offered a unique two-for-one sale for space-saving gardeners. Dwarf varieties have improved dramatically over the years; many are plantable in large containers on a deck or patio. Trekking to the local orchard for you-pick apples, peaches and cherries is a favorite fall activity for many families. Some regions of our country really do a great job of promoting and hosting these events! The comeback of canning, jams and jellies, pickling (my favorite is pickled pears) and specialty baking, all using fresh harvested fruit, is another reason to promote fruit tree plantings. slightly above level grade. The area should also receive at least 6 hours of sunlight per day. A soil conditioner or soil amendment can be added, provided it’s not fresh manure, to the existing topsoil drawn from the hole. Homeowners will want to keep ample spacing between trees. A minimum distance of 12 feet is a good guideline, unless dwarf or espalier varieties are involved. 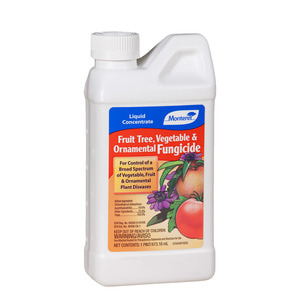 Of course, watering fruit trees is vital to their success, especially if planted in sandy soil. Deep watering helps establish vast root systems. 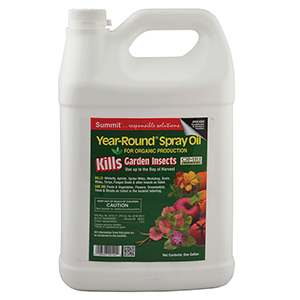 Be sure to stock horticultural spray oil, for use to smother overwintering insect eggs. 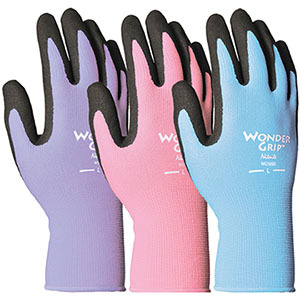 Bonide and Summit offer quality products in this category. The consumer should spray early in the season, once temperatures rise above freezing but prior to bloom and leaf development. 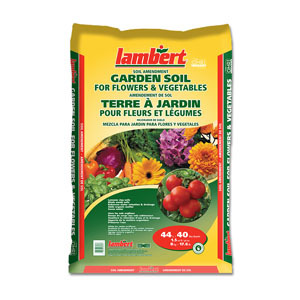 Fertilizer can be applied as long as ground isn’t frozen using traditional feeds like 10-10-10. 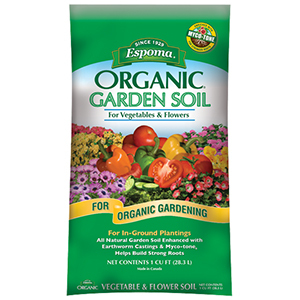 There are proven organics available from Espoma like Citrus-tone 4-3-2, Plant-tone 5-3-3 and the popular favorite, Bio-tone Starter Plus 4-3-3 for all planting conditions. A topdressing of mulch (2-3” inches) will also help conserve moisture. 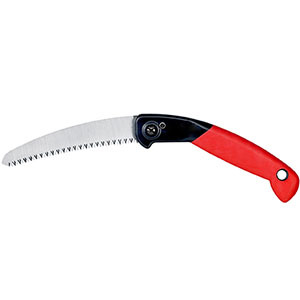 Occasional pruning may be needed to trim away dead wood or sprawling branches. 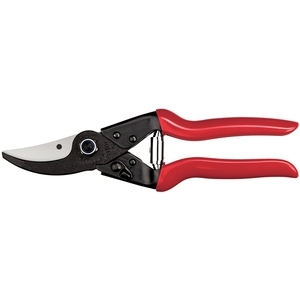 Timing is important on WHEN to prune. Apples, pears and plums are usually pruned during winter months while they’re still dormant. Cherries are pruned during late spring or summer. When in doubt, refer your customer to an arborist or a local county extension service. Above all, encourage your customers to enjoy the fruits of their own labor! 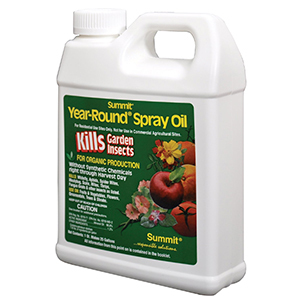 Year-Round Spray Oil 16oz. Con. 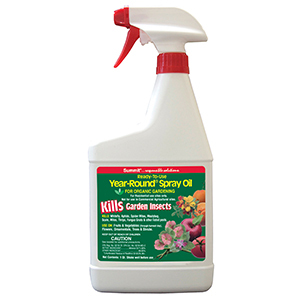 Year-Round Spray Oil 32oz. Con. 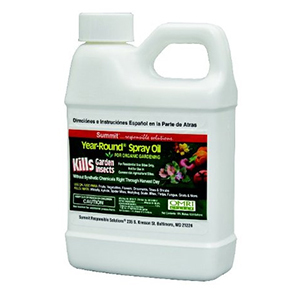 Year-Round Spray Oil 1 gal. Con. Clover is among the most intriguing weeds in the yard. It’s also one of the toughest to control. Clover commands space in nutrient-deficient soil, often rambling and spreading endlessly in all directions. The soft and delicate leaf surface provides a cushioned feel to anyone seeking barefoot comfort. A large field of white clover showcases an emerald green color unlike few turf grass varieties. It can be marvelous! It can also be a scourge to a homeowner seeking lawn nirvana. Derived from the Latin word, Trifolium, the three (Tri) leaf (folium) characteristic of clover sports a tough stem and dense root system that creeps along shallow soil zones, resists trampling and responds well to mowing. The most common type of clover in the U.S. is perennial White Dutch Clover. Some clover types grow from 6-12 inches in height and thrive in cool, damp conditions mostly from the Midwest to the eastern half of the United States. For those who choose to brave clover fields in bare feet: Congratulations, you have no fear of stepping on pollenating bees. Today’s pasture mixes still use clover seed as part of the forage grass make-up to optimize livestock production. Clover serves numerous purposes: Some use clover between nursery plantings of trees, since it resists herbicides and requires little care. 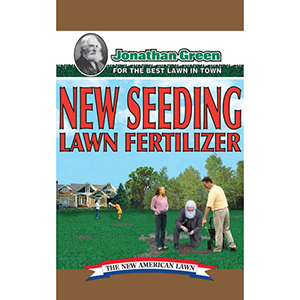 Eventual tilling into the soil provides nitrogen for plant uptake. Clover has merit as a companion crop between rows of sweet corn or other vegetables. Clover is often used in vineyards to minimize erosion, reduce soil temperature and retain moisture as a “living mulch” with its dense coverage. As an added bonus, white clover flowers attract all-important pollinators, too! 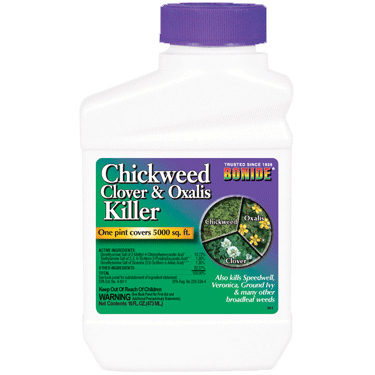 Shockingly, many years ago, white clover was added into many grass seed mixtures to help reduce soil erosion. 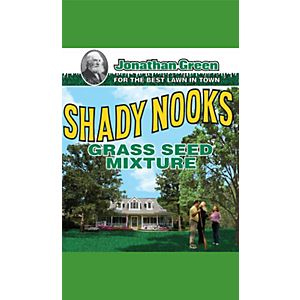 It was able to grow in poor soil conditions where other grass seeds wouldn’t germinate. As turf grass development was bred for better texture and color, blends (of the same seed type) replaced mixtures, and clover picked up a reputation as a nuisance weed. 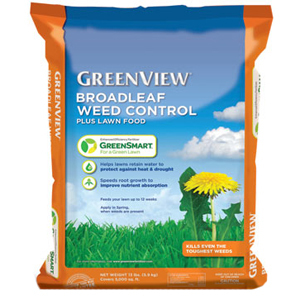 Homeowners are generally obsessive about having a very good to great lawn. It’s a status symbol and an indicator of a green thumb. 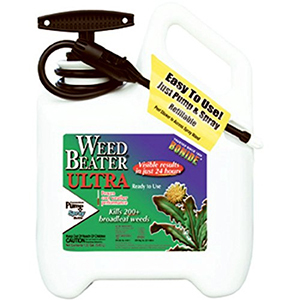 Selective weed controls have made it convenient for the homeowner to eliminate undesirable weeds and retain only good perennial seed types. One of the most common active ingredients used for clover control is dicamba. It works safely and effectively when used as directed. While clover is resistant to many chemicals, dicamba penetrates the leaf surface quickly and effectively, often showing results within hours of application. 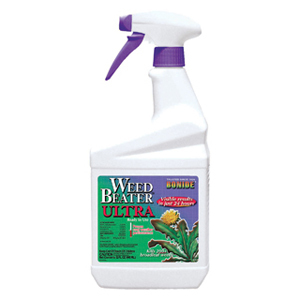 stock and sell in your store for clover control, make sure you recommend specifically labelled products that work to their fullest when used as directed. Your lucky customer will have found their four-leaf clover! Fertilizer is hardly a hot topic for winter, but stay with me: This month’s tip bodes well for pre-planning your spring store needs. It’s been a few years since several U.S. states passed laws to reduce and eliminate phosphorous content in lawn fertilizers. 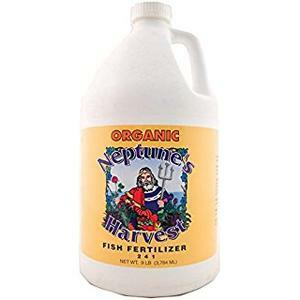 The grassroots efforts by many of you in your stores to explain the new reasoning have actually spawned some interest among consumers wanting organic and phosphorous-free fertilizers for their plants and flowers, too. Very few brand-name products are currently available to fulfill this request. However, you can offer a solution that I had used many years before. 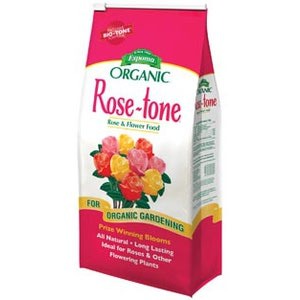 As a former hobbyist and former consulting rosarian for the American Rose Society back in the 1980s, I learned quickly about the importance of good soil, sticking to a spray schedule to prevent diseases and adding plant nutrition regularly via organic fertilizers and supplements. Roses are heavy feeders during their growing season and need a steady diet of foods to maximize bloom production, basal breaks and re-bloom performance. At the time, studies from both universities and independent trial gardens had shown the connection between the frequency of food uptake and overall plant health. A healthy and happy plant in the fall stands a much better chance of surviving the harshest winter, even in Northern climates, and re-emerging strong in spring. Plants that were installed correctly and fed modestly also showed improved disease resistance. Back then just as today, no miracle tonic exists to make your plants and flowers grow to their best. 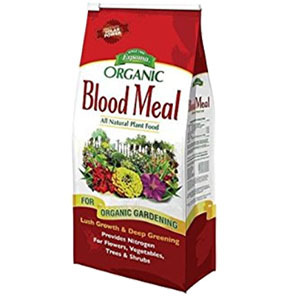 With bone meal or super phosphorous being used only at the time of planting, I did what many gardeners chose to do: craft their own “special sauce” for monthly applications during the growing season. It was the balanced diet that made flowers larger, more colorful and longer-lasting in the garden. Some rose hobbyists also used a monthly application of nitrate of soda during the growing season to develop longer stems and promote leaf growth for competition-worthy roses. The base ingredient for any top dressing recipe included the addition of humus, well-rotted manure (or dehydrated cow manure), alfalfa meal, greensand, worm castings or compost, if available. The supplements included dried blood, kelp meal, fish meal and even bat guano. These products didn’t have a phosphorous analysis but were important for trace elements, minors and slow, continuous feeding. It had to be organic and natural. These items are still available today from manufacturers. 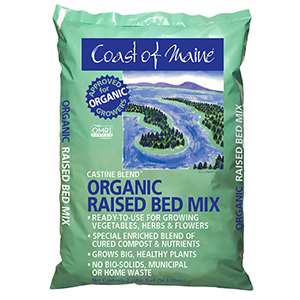 In fact, Coast of Maine has recently added many new organic products suited for high-quality plant foods or supplements. Garden experts, good secondary signage and point-of-purchase (POP) materials are, unfortunately, a distant memory in most garden centers today. But where there’s a will, there’s a way: You can still offer product recommendations to maximize blooming power on your store signage. Consider it the “cliff notes” for gardening. Nobody has the time or inclination to read labels anymore, to know what products can or can’t do. It’s 100 percent up to us to teach gardening/landscaping/groundskeeping newcomers and show them how to be successful. It might start with your own store’s plantings, but it certainly ends when your retail customer stares at 20-30 fertilizer selections on a gondola run and can’t even identify the plant they have in their cart that needs feeding! As I visit stores across the country, I often ask owners and department managers what’s important to them and their customers. Some of these associates are amazing specialists who love to garden themselves, but they may be challenged to pinpoint what makes them successful – which makes it even tougher to share those insights with customers. If every team member in charge of their plant department would pick two or three fertilizer items that are must-haves for the success of their customers, and it was shared with every staff member including part-timers, you would certainly increase your sales AND customer success figures. In many cases, we’re only talking about 15-20 items, but this small exercise can make a huge impact. As winter weather ramps up and outdoor flowers hit their natural decline in many regions, many consumers will look to bring plants or foliage indoors and try to sustain their growth. Indoor color can be a challenge, though Christmas cacti, African violets, orchids and miniature roses are several common and reliable options. Unfortunately, even indoor plants can face trouble from pests and diseases. This month, we’ve got some tips for you to consider as you plan your product mix for indoor-plant remedies, and as you guide your customers in choosing the right solutions for their plants. One of the most ignored declarations on chemical product labels is whether or not the product is listed for indoor use. The majority of chemicals found in stores are for outdoor use only. The outdoor-only restriction may be rooted in one or more causes: The active ingredient(s) may be especially toxic to pets or children, may be a severe eye or skin irritant, or may give off pungent fumes that will linger long after the application is made. Thankfully, multiple manufacturers and brands offer excellent products and solutions for indoor plants. 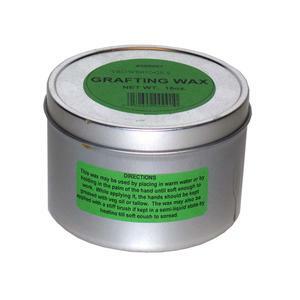 The Safer brand from Woodstream includes several products with active ingredients that are well-known for being safe and effective for indoor use when applied as directed. 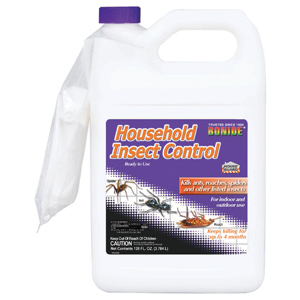 The most popular product in the Safer line is their insecticidal soap for indoor insect control. 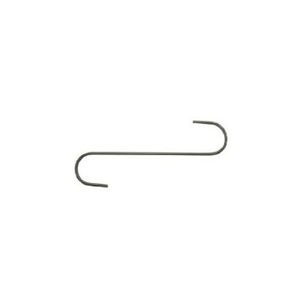 Be sure to clearly differentiate between indoor and outdoor products in your chemistry aisle. 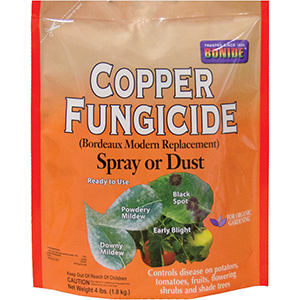 Remind customers to read product labels carefully, making sure the product is also applicable for the plant that they’re treating. Some plants are sensitive to certain chemistry as well: You may not only kill the pest, but the entire plant! These declarations are always listed on the label. Remember: Chemical products are formulated to get the job done while using the least amount of active ingredient necessary. As a rule, encourage your customers to always follow label directions. It can’t be overstated. If their desired use is listed on the label, a consumer is able to use or treat as directed. Never make a recommendation for an application or use that’s not listed on the label. If you or your customer have further questions, many manufacturers offer product support via phone or website, both of which are usually listed on the label. 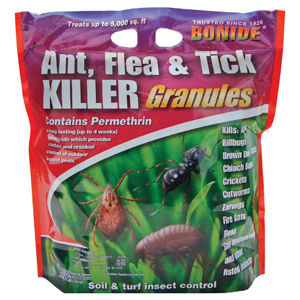 When faced with pest or disease issue, many homeowners hesitate. They may be unsure of what the problem is and/or unsure of how to treat it. However, as you know, time is of the essence in these situations. Some plant problems, if left unchecked for too long, can quickly lead a plant down the path of no return! This is especially true when red spider mite, scale or even powdery mildew is first observed. 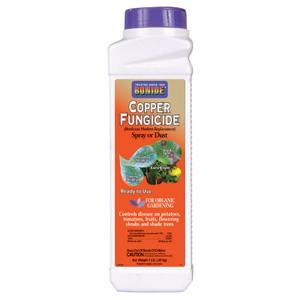 Some pest and disease issues can be enabled by where the plant is located within the home. Spider mites are a perfect example: These insects thrive in the dry, warm climates that are common in winter. Engage your customers in conversation to learn more about their plant symptoms, and listen carefully for contextual clues. In the case of spider mites, increasing humidity levels and positioning plants away from heater vents may provide quick and easy relief. Over the course of your discussion, determine if the issue may be a conditional threat to other plants nearby. If so, you may need to advise your customer to examine all surrounding plants for similar symptoms. They’ll want to quarantine infected or infested plants to a remote area temporarily until the issue(s) are under control. Spider mites are among the toughest insects to treat indoors. 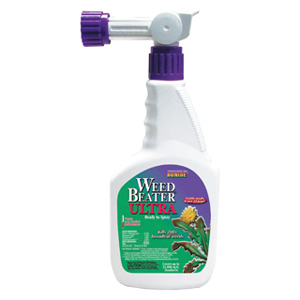 Old-time remedies like Kelthane or Vendex (which were true miticides) have been replaced by various compounds of lightweight spray oils in ready-to-use bottles, which coat and suffocate the spider mites along with their eggs. Being contact sprays, they need to “hit” the target to be effective. 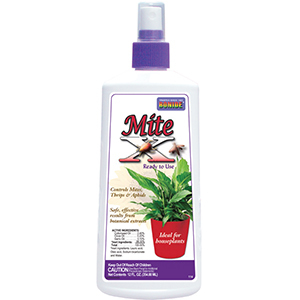 Many times, plants will need a follow-up application to contain and control mite populations. 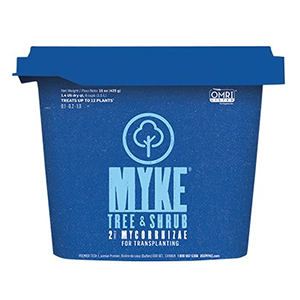 For customers who seek an all-natural solution for spider mites, another technique is to cover soil and pot with plastic and remove to a sink or tub. 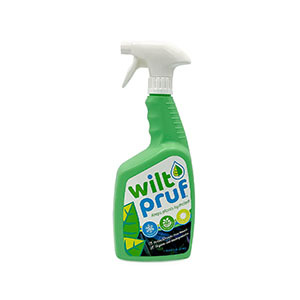 Spray the undersides of leaves with a direct stream of water from a spray nozzle and then spray over the top. Once the plant is reasonably dry, return it to its original location after it’s been wiped down and vacuumed to remove debris, insects and dead leaves. Healthy plants are low-maintenance plants. Even with a natural slowing of plant growth during the winter months, plants continue to need water and nutrition, albeit in smaller amounts. Remind your customers to maintain a watering and feeding schedule throughout the winter, as it’s a first line of defense against many of the most common plant ailments. 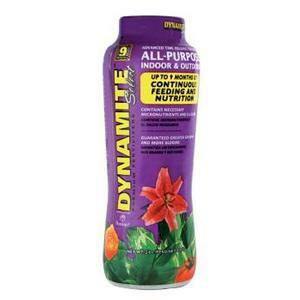 Speaking of nutrition, more is not better when it comes to fertilizing plants indoors. 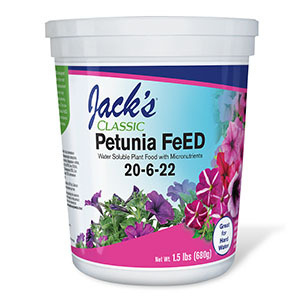 Many gardening experts recommend low-dose volumes of nutrients, spaced a month or two apart in feedings. 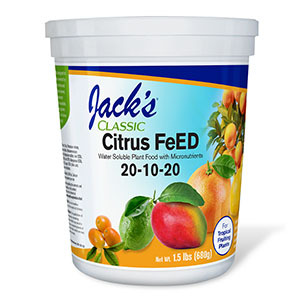 Suitable plant foods can come in several different forms including plant spikes, time-release fertilizers and water soluble-fertilizers that are mixed and applied using a watering can or spray-mister bottle. Depending on your store’s capacity, you may choose to stock a broad range of products or just a few. December is the month when poinsettias find their way into people’s homes. 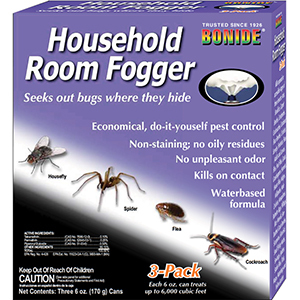 They may also contain insect issues that aren’t noticeable right away. 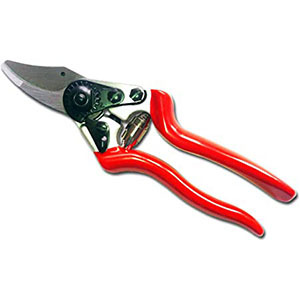 Encourage your customers to carefully inspect leaf surfaces, both tops and undersides, for insects including webbing near leaf stems. After the holidays, if in doubt, throw it out. Teach your customers to get into the habit of watering with clean tap water that’s been allowed to stand in an open container overnight. This practice brings the water up to room temperature and allows any inherent chemical gases like chlorine to evaporate. Distilled water is another option consumers may consider. The holidays are always a busy time in caring for family and friends. 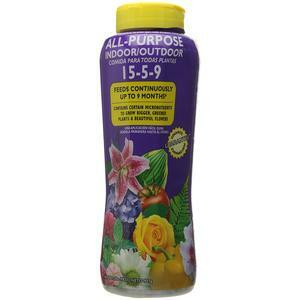 Consumers would be wise to make time for weekly rounds to tend to their indoor plants, too. The reward is some green or color inside while it’s dull and gray outside. This is among the most common terms you’ll see in our industry. Gardening has long been associated with hard, difficult and time-consuming work. 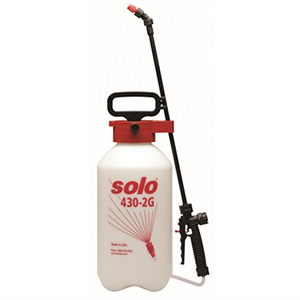 Ready-to-use (RTU) sprayer bottles or ready-to-spray (RTS) hose-end products dominate sales in the chemical aisle. Thirty-five years ago, Ortho was the leading label in this category; concentrates accounted for more than 80% of consumer sales. 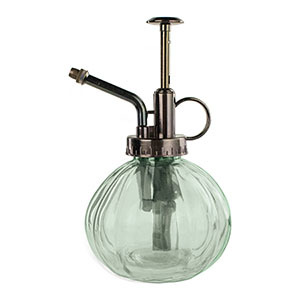 Sprayers and mixing chemicals were the norm for any gardener until innovation brought us more RTU and RTS options. 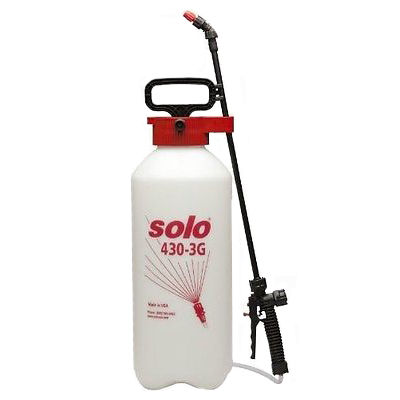 Today, the numbers have flipped with less concentrates (and spray tanks) being purchased. 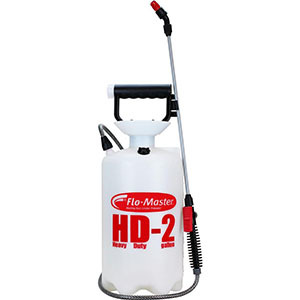 New technology offers battery-powered sprayers, one-pull sprayers and even more choices for hose-end sprayer chemistry. 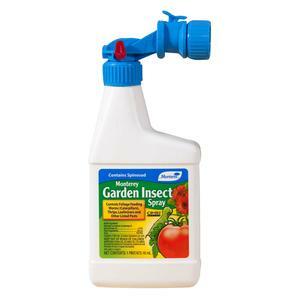 It’s never been easier to use garden chemicals safely and effectively. Packaging represents one of the most obvious areas of innovation, especially advances in packaging materials. Take a close look at what you buy from your manufacturers. 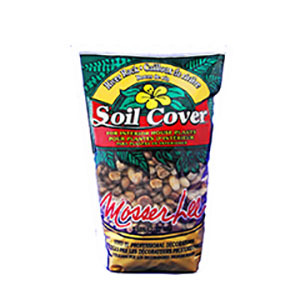 Mylar replaced soft plastics years ago and many items like grass seed, potting soil and fertilizers use this material, along with convenient resealable tops. 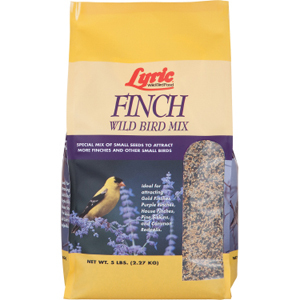 Even wild bird seed manufacturers have embraced heavier, more durable bags to prevent chewing insects or ingredients from breaking through. 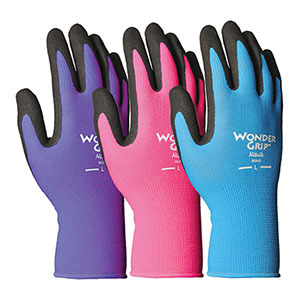 UV protection comes in many forms, including fade-resistant inks and coatings. Labels used by many manufacturers today are constructed of vinyl to resist deterioration from bright sunlight and humidity. Crystal-clear acrylics are another example: You’ll see them in products like wild bird feeder tubes, which won’t cloud up over time. 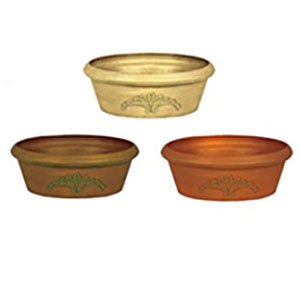 Once upon a time, garden products sold-through so quickly, we didn’t concern ourselves with lasting carryover of inventory. Times have changed drastically with the advent of box stores. 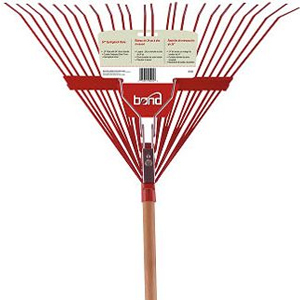 Women are the target market for most manufacturers of lawn and garden products. This focus manifests as a combination of great packaging with bright and colorful graphics – often featuring kids and pets in the background. If you have older and outdated packaging in your store, you might just be chasing away potential buyers! As for the products themselves, comfort-driven and compact designs, and lightweight materials are common. Even though we sell a lot of dirt, be mindful that today’s consumer is conscious of dirty environments. Take care to maintain the cleanest, tidiest selling areas possible at the shelf and on the floor. Women are our best customers! Gone are the nuclear remedies in our chemical arsenal like DDT, Diazinon, Dursban, Kelthane, methoxychlor, Lindane, Benomyl and Vendex. 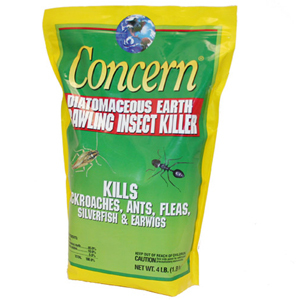 They’ve been replaced by pyrethrins, Permethrin, neem oil, mint oil and various bacillus compounds for insect and disease control – active ingredients perceived as softer and/or more natural. The organics and all-naturals craze shows no signs of slowing. If you’ve been putting off a review of your chemistry options, make it a point to evaluate your inventory yearly to make adjustments. Plan ahead now for next year’s shelf space by selling discontinued or newly restricted product offerings in order to make way for newer chemistry. It seems overly simple, but it’s true: “New” and “improved” are still very effective in stirring interest and excitement among consumers. Have you considered how you’ll present your newest products to your customers for the remainder of this year and into the next? These products should be featured on endcaps or standalone flex tables, or even by cross-selling with your plants at the point of decision. All that’s needed is your sign or placard stating one simple word, “new.” Just that little bit of awareness can bring you greater sales and profits. A unique facet of indoor gardening is trending upward, offering consumers a novel way to enjoy plants year-round. Terrariums are hardly a new concept, but they’ve received a thorough makeover with regard to retail appeal and suitable plant selections. The terrarium has long been an indoor favorite since it was accidentally discovered by Nathanial Bagshaw Ward in 1842. 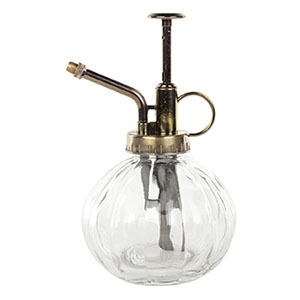 He grew a fern from a spore enclosed in a glass case and was rewarded by having the vessel gain popularity as the “Wardian Case.” Today, of course, it’s known and sold as the terrarium. My first experience of seeing a “living” display was in the Reptile House at the Philadelphia Zoo. Having the birthplace of America’s zoos (March 1859) nearby meant that it was a convenient day trip for elementary classes to see animals up close. What I didn’t realize was that I was seeing an ecosystem at work: Growing and sustaining plants indoors was a necessity in keeping zoo animals alive and well in long-term captivity. These enclosed exhibits were actually large-scale terrariums. Zoo staff carefully plotted their use of natural (and artificial) lighting to ensure photosynthesis, ventilation for air movement, and suitable planting media to create these natural and living habitats. Whether a consumer chooses a classic terrarium or not, many additional choices are available to create interesting and special indoor gardens. 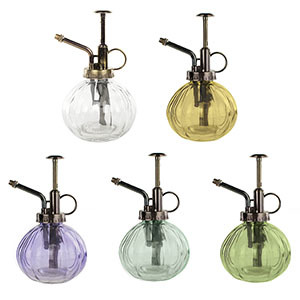 Consumers may choose from jars, bowls, glass urns, blown-glass spheres and many more designs. 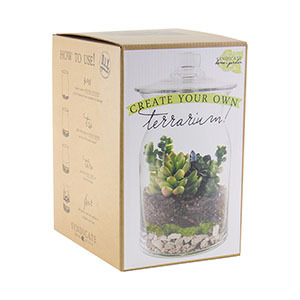 A true terrarium, however, is one that is enclosed, preferably with a lid that will allow venting. Succulents have surged in popularity, known as foolproof, long-lasting plants with minimal maintenance requirements. Taking it a step further, consider the more than 650 types of air plants or Tillandsias that need no soil to thrive. 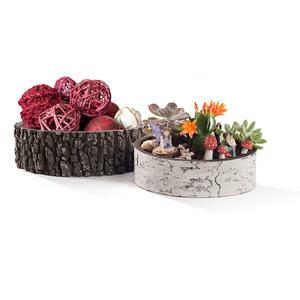 These are fabulous candidates for today’s terrarium! The rise of miniature gardening has increased interest and availability in ferns, which love enclosed terrariums. It’s easy to see the selling opportunities, even for those of you who don’t have a working greenhouse at your store location. We’ve all heard the marketing mantra that “packaging sells,” correct? Just about everyone has pretty packaging these days. 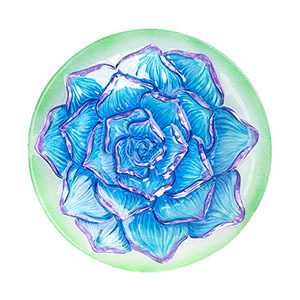 But, the success of your selling department will rely on providing planted examples showing different dimensions, plants and vessel types for the customer to buy or recreate. You’ll also need helpful staff or easy-to-follow print instructions to direct customers on which types of plants work well together: ferns and foliage, or succulents and cacti. Plant choices will influence the customer’s watering needs and methods. 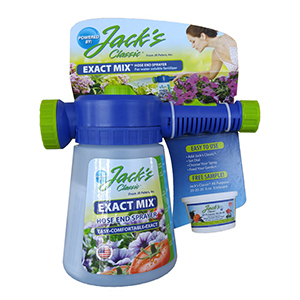 Supply your display with low-volume watering cans with narrow spouts and misting sprayers. 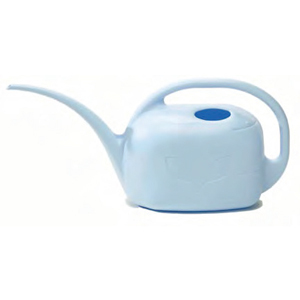 Distilled water (or filtered water that’s been allowed to stand overnight) may be recommended to minimize tap-water chemicals that can affect plant health. 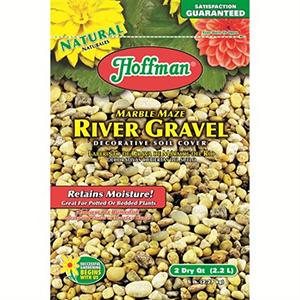 Include some additional materials like horticultural charcoal, small pebble stone, Spanish moss and sphagnum moss. 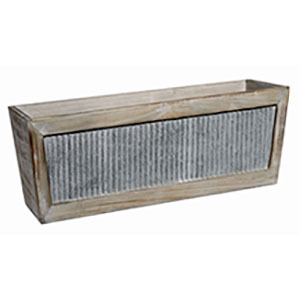 The use of charcoal is important for removing toxins and odors that may accumulate inside the terrarium over time. 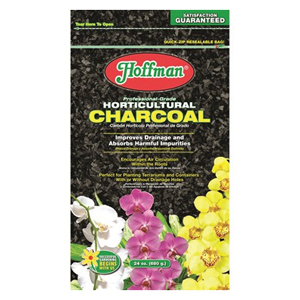 Hoffman makes a wonderful horticultural-grade charcoal that’s very popular in the market. Opening the terrarium occasionally allows moisture to evaporate and air to circulate around the plants. 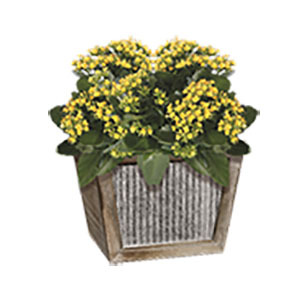 If a disease like powdery mildew occurs on plants inside a customer’s vessel, you’ll need to offer specific chemistry that’s labelled for indoor use and for these specific plants. One disease-control recommendation is the Complete Disease Control 32 oz. RTU from Monterey Chemical. 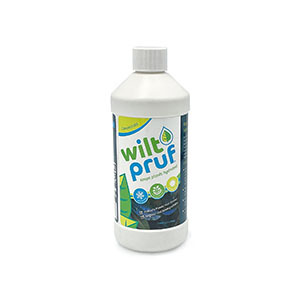 It’s a bacillus formula that prevents and even cures most disease problems on a wide listing of plant species. You’ll also want to advise your customers to vent their terrariums for a longer time frame to slow down disease pressure. Finally, you will need to provide the right soil options for the specific plant materials being sold. 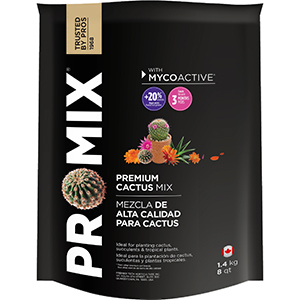 Most retailers sell four-quart bagged materials that are labelled for cacti and succulents or typical professional potting soils recommended for indoors. 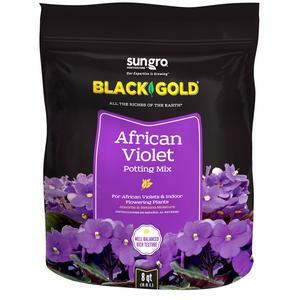 There are many options to consider stocking, especially those from Premier Horticulture, Sun Gro, and Espoma. Don’t recommend potting soils with added fertilizers, as you can always add nutrition, but can’t always take it off. 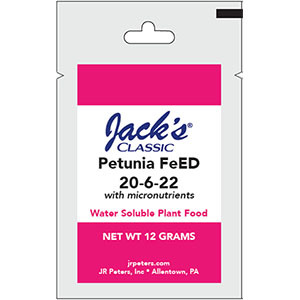 Small plants in miniature vessels need minimal feedings, so consumers may only need to apply a food once every four to six weeks. 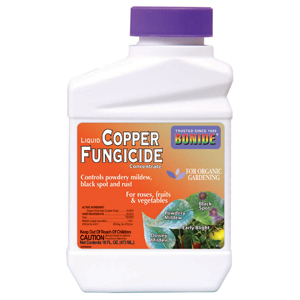 Reduced-nitrogen fertilizers are best suited for indoor plants; Nature’s Source, Bonide and Schultz offer quality products in this category. As the end of summer is near, the proverbial task list for home improvement grows. Maintaining the outside of the home often takes a back seat while parents scurry to gear-up with the supplies and clothing their children need in preparation for back-to-school. 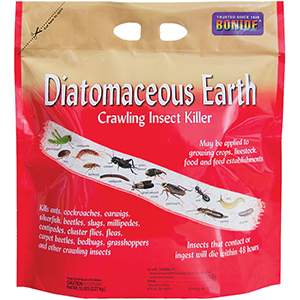 Right now, the food source for any critter is available in quantity and variety. They may or may not have visited your customers’ gardens or home plantings, but soon these sources will be on the decline. 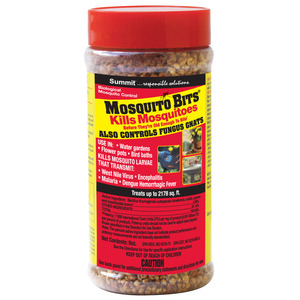 Be sure you’re well stocked with repellents to help homeowners protect their investments. 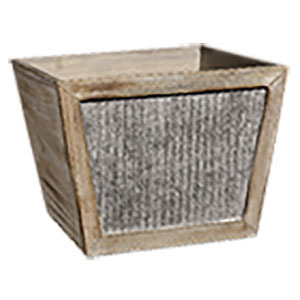 The cooler temperatures signal to rodents in particular to seek warmer climates and make their move to interiors. Traps and some repellents head off this onslaught and make it easier to contain and control. Deer controls are especially important as they’re also on the move and will explore neighborhoods to eat the available foods. 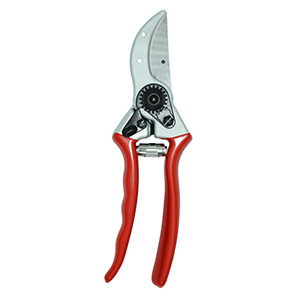 With the removal of many flowers and vegetables from the garden, attention quickly turns to vegetative plant materials. 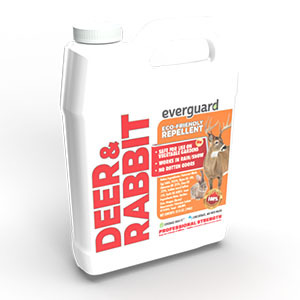 Deer have no off-season, so you’ll want to recommend long-lasting products in granular or spray formulations to keep these hungry animals in check. 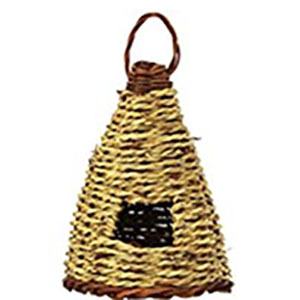 The time spent outdoors is still a priority for many families, and it comes when hornet and wasps are very active during the daylight hours. 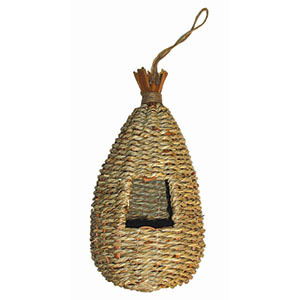 Advise your customers to keep insect controls nearby, and begin observing where these nests are around the home. Eliminating these winter homes now helps to negate future problems around the home next year. 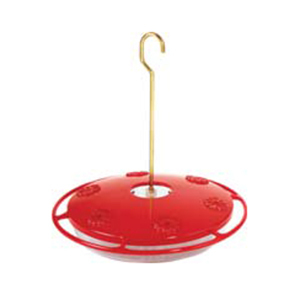 Even in the fall months, it’s still a good practice to install wasp traps, so be sure to have these on-hand in an easy-to-spot location in your store. 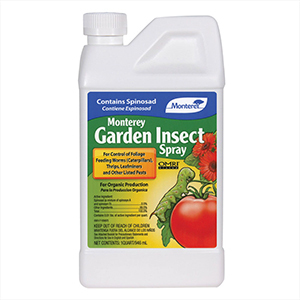 Now is also an ideal time for homeowners to tend to plants that have endured major insect damage over the course of the spring and summer. Spider mites and scale are two of the most noticeable issues that can be detected. If a plant is unhealthy leading into the winter, it likely won’t survive or, worse yet, it’ll provide more issues when the pests spread. 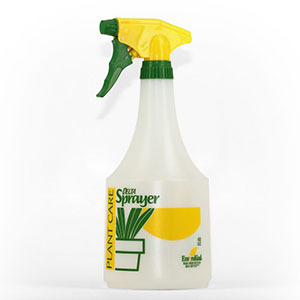 You can encourage preventative maintenance like horticultural spray oil, which works on many different types of plant materials to control both the spider mites and scale insect problems. If severely damaged plants need to be “shovel pruned,” remove them and the mulching below. If replanting a new shrub, make sure your customers know to use fresh planting media and new mulch, and to view adjacent plants as suspects in harboring these nuisance insects. Adjacent plants should also be part of a homeowner’s maintenance plan. Consumers see in-the-know gardeners repairing worn-out lawns by thatching or using the core aeration method to improve lawn conditions. Reseeding is a favorite activity in the fall, but many new homeowners don’t understand what they truly need to be successful. Evaluate your specific region as to what you would recommend to customers with regard to grass seed varieties. 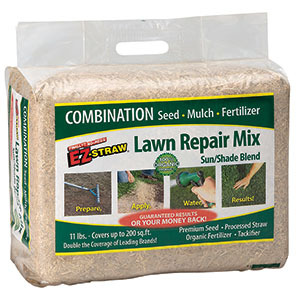 These may either be a "blend", which is the same type of grass seed using different varieties or a "mixture" using different types of grass seed. Emphasize good seed-to-soil contact for best results. 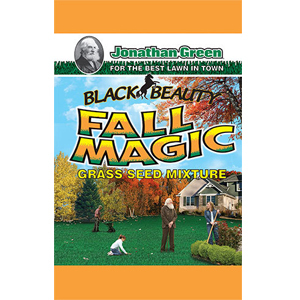 The favorable conditions of fall weather makes it the BEST time to establish a great lawn. 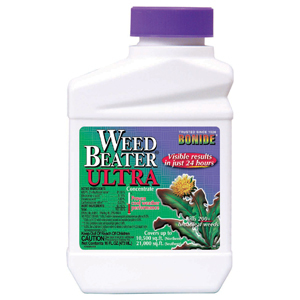 Weeds, excessive rainfall, disease, insects, drought and the long, hot days of summer are here. Their arrival this year was a collaborative effort starting in July. While in-store traffic may decline for planting, the intensity and frequency of customers with gardening issues increases almost hourly. Solution selling is one of the most demanding services we provide for our customers. Today’s consumer has many more avenues of information at their fingertips by using smartphones and other mobile devices, but many still turn to the local professional just to be sure. If we solve issues successfully, we’re usually rewarded by selling a remedy on the spot or making a future sale with the client who, by the way, came to your store for help. Many store owners (and personnel) will admit that they’re constantly upgrading their product knowledge and training to keep up with the newest chemical technologies and product solutions. If you have a friendly personality, the type that gravitates toward the customer and not away from them, your chances of selling successfully and retaining that customer in the future goes up drastically. Developing good interrogation practices helps to solve problems accurately and narrow the many choices at the shelf to ensure success. It takes a lot of practice (and courage) to ask simple questions, listen for symptoms and, in some instances, properly examine a sample of the problem. Listening and communicating current issues with staff and ownership helps to identify recurring problems and offer a consistent solution. This can’t be accomplished by ignoring customers even during the hottest of days. 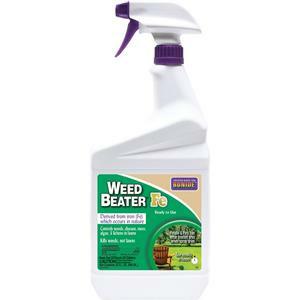 Today’s chemistry selections have changed to provide safe and effective ways to treat problems in the home and garden. Gone are the rows and rows of a product with the same ingredient, but in a different bottle label. These selections have been replaced by a more “globalized” effort that mimics a “one product fits all” strategy. Manufacturers have to pay huge sums of money to develop new chemistry and for every label produced, it costs more money. Granted, there are still specific chemicals that do the trick for specific problems, so you’ll need to identify and train accordingly. It takes time to master, and it’s worth sharing your knowledge with associates and customers alike. Just as important as reading the label correctly and following instructions, is the need to stock and sell quality products that can be sold and used when temperatures soar. Many years ago, most chemical solutions had some type of oil-based ingredient that would literally cook a leaf’s surface after application. More issues were created because consumers wouldn’t read the label or apply common sense when using the product. We must offer options. Much of the changes in chemistry have come by the way of organics and water-based technology. 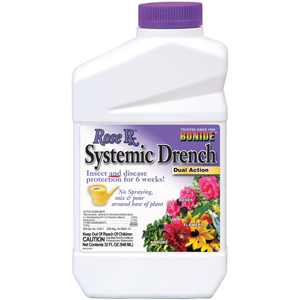 Spraying isn’t the only option either; more products now offer a “drench” method for application. If you’re unsure of what you’re stocking, take a look at these labels and note the restrictions they may have in their label directions. Whenever temperatures are taking a toll on plants, think about the cause and effect of spraying anything, including water, when the hot sun is out. 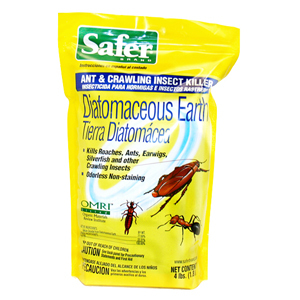 Early morning or early evening are the best times to treat for disease or insects. 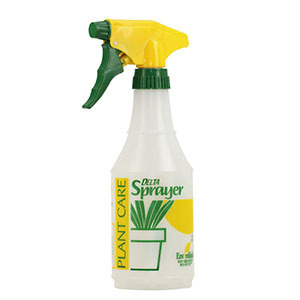 If home gardeners can offer their plants a drink well in advance of a spray application, it may do wonders in making a solution work better. 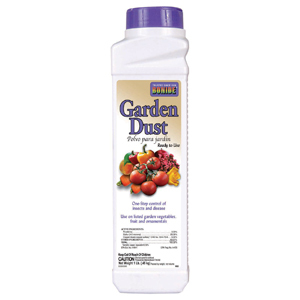 You may also recommend a garden dust for waterless treatments against insects and disease. Several great mobile apps can offer assistance and make the process easier, too. Bonide makes one of the very best mobile problem solvers our industry has seen. If you don’t have this installed on your phone, I highly recommend you take the time to download and investigate. You won’t be disappointed. Your local county agriculture service is also one of the best ways to inform you and your team of any local issues. They may also have an auto-generated e-mail service for special bulletins, problems and solutions specific to your region. Our GGSPro team relies on these alerts for updating our recommendations, too! Last but not least, look at the label of the product itself. Many manufacturers provide a toll-free number (and/or website) to contact them directly. Their customer service professionals are available to help you by phone quickly during your business hours. This year’s weather has been nothing short of a rollercoaster ride in terms of extreme conditions across the country. With two heat waves (three consecutive days at 90 degrees or above) already in the books, the planting season becomes a challenge to fortify moisture requirements in the garden. 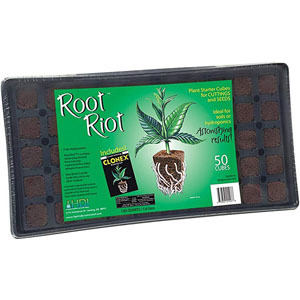 Plants still struggle with moisture uptake until root systems have expanded. Some telling signs give you somewhat limited time for solutions. Nothing would bug me more than to see a beautiful dogwood tree in bloom in spring and seeing defoliation of leaves during the onset of warm weather. Properties with a lot of clay soil push the limits on root development over the years. As trees mature and push new growth, the slightest drought and heat combine to dry up the top portions of trees that do not have sufficient root structure. Moisture uptake is limited to the most accessible branches along the way up the trunk. Fully mature trees hit the proverbial “brick wall” especially if planted curbside along paved roadways, where temperature extremes are the highest. If no disease is observed, how do we initiate better health for the tree (or plant) and expand the root system? Most consumers tend to neglect our landscape and, especially, trees. “Plant it and forget it” is a common practice until the tree becomes brittle or loses it leaves completely. 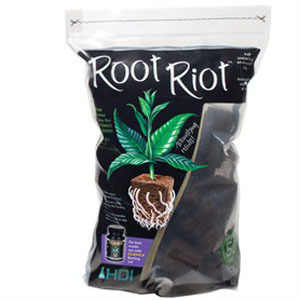 Food or some nutritional uptake is recommended throughout the years to help stimulate root systems and expand capillary roots to support and sustain growth. 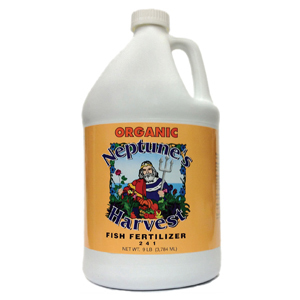 This may come in the form of rich organic supplements, well-composted amendments or typical fertilizers available in many delivery types: spike, granular, water-soluble and time-release. Common practice tells us to feed any plant according to the directions on the label. 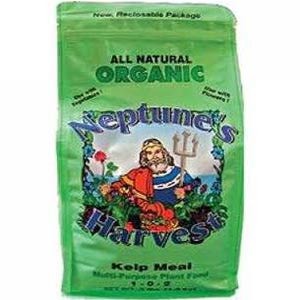 A tip from the owner of Neptune’s Harvest suggested a drink of their fish fertilizer soaked around the drip line of my droopy dogwood tree. I’m proud to report that this tree just short of shovel pruning two years ago, is now showing lush new growth and vitality by producing new branches ever since that application was made. Thanks, Sandy! What kind of tips and tricks can you share with your customers? Watering may become a regular gardening task during drought-induced weather patterns. 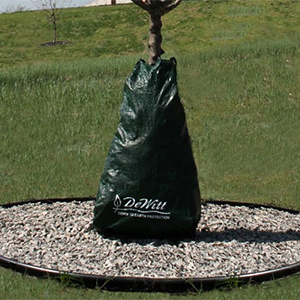 A great convenience product for watering trees comes from the design of the slow drip-emitting water bag. Filled with water and placed at the base of the tree root ball, a small but steady drip of water comes from the bag to offer some relief for water uptake needs. Dewitt’s Dew Right irrigation bag is one we stock at Griffin. 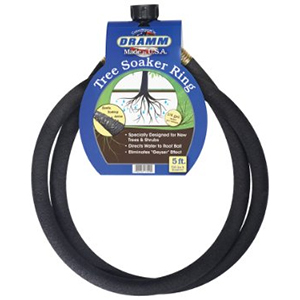 Another method to consider is the use of Dramm’s Colorstorm Tree Soaker Ring, which screws easily onto a water hose. Mulching can also play an important part in protecting the surface surrounding the tree trunk to stay cooler (and wetter) for longer periods of time. 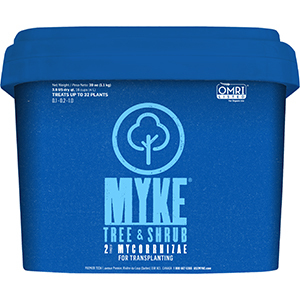 Advise your customers to be careful to not mound mulch up the trunk of their trees. Too much mulch, too high up can be suffocating to a tree. Many foundation plants, including flowers, take a beating over time without sufficient water. 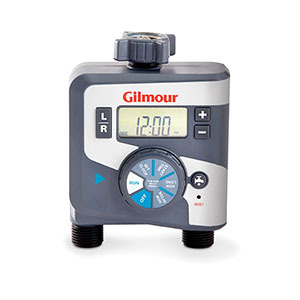 With busy schedules, an easy way to provide an ample water source is to connect a weeping-type soaker hose to a Gilmour automatic electronic water timer, connected to an available outdoor faucet. 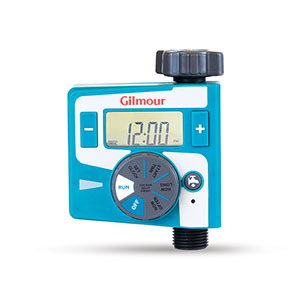 These timers are programmable for up to 6 hours of run time and are sold in both single- and double-outlet types. 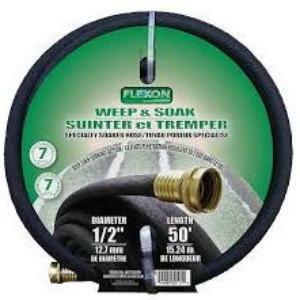 The soaker hoses have long been a favorite of gardeners and are constructed of recycled rubber tire materials compressed to reduce evaporation and water waste. 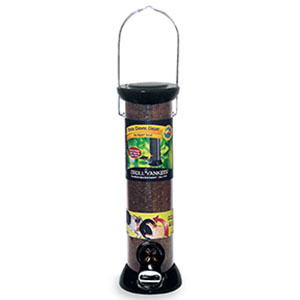 These can be placed above ground or below ground to suit any garden application. 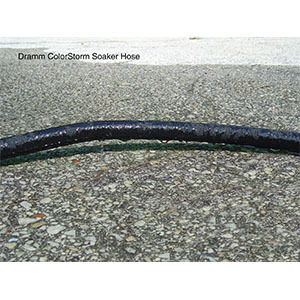 The 50 ft. Weep & Soak hose from Flexon and the 50 ft. Colorstorm Premium Soaker hose from Dramm are top-sellers for quality and construction. Both are made in the USA, too! Hydrangeas are commonly affected by intense heat and lack of water. Your recommendation for a watering solution may pay dividends for your sales throughout the remainder of the planting season. One tip that’s rarely discussed is to use only watering hoses that are designated for drinking water use for children (and adults, too!). It’s easy for kids to grab a water hose and take a quick drink of water without knowing the dangers of nasty hidden microbes inside. Studies have shown that water taken through traditional garden hoses may contain up to ten times the amount of lead as water from the kitchen tap! There are numerous reasons why camper, boat and RV hoses are a bit more expensive than traditional types. 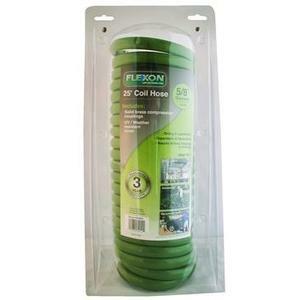 These hoses are manufactured without toxic chemicals and are lead-free. We’ve heard in the news about Bisphenal A (or BPA) present in water bottles and how heat and temperatures release these plasticizers into the water itself. These plastic hardeners are under more scrutiny since these studies surfaced over 40 years ago. Many baby bottles, sippy cups and drinking containers are BPA-free these days. Use a hose designed for drinking water safety! 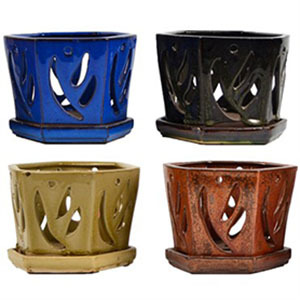 Griffin has several items that can take the edge off a hot summer day whether it’s on the front porch, backyard patio, deck, beach or pool. Panacea Products makes a very nice spiral beverage stake in two sizes including one that a standard Mason jar would fit into. 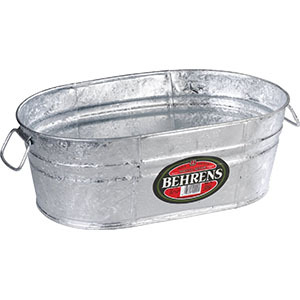 Another must-have for your customers’ enjoyment is the Behrens galvanized oval tub, just waiting to be filled with ice and your beverage of choice. Sit back, relax and quench yourthirst! Cheers! There’s no way I can begin any tip with the word “freedom” without thinking of the many sacrifices made in protecting our country, which is the greatest in the world. Thank you to those soldiers and public servants of the past, present and future for allowing us to be the home of the free and the brave. Being patriotic isn’t just about flying a flag on designated holidays. It’s about recognizing and remembering all who defend and uphold the freedoms of our great nation. The flag serves as a reminder that we have freedom of choice and it should never be taken for granted. Fly your flag proudly! When it comes to freedoms in the gardening world, we’ve come a long way. 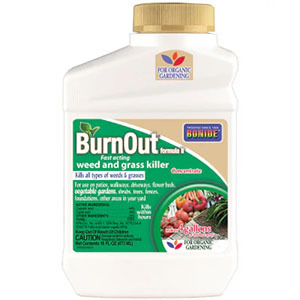 We never used to think twice about the inefficiency in our gardening practices or the toxicity of our go-to chemistries. Over the past 20 years, research and technology have led to many fantastic improvements we didn’t even know we needed: plant genetics with natural disease resistance, grass varieties that require less maintenance and alternative chemistries that are safe and effective. All of these improvements have given consumers more freedom (or time) to enjoy what they want to do a bit longer. Let’s examine how our industry has affected our freedom in the garden and home. My favorite example of time-saving freedom in the garden involves our national flower, the rose. 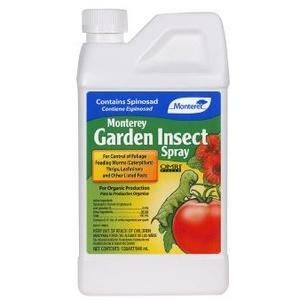 Less than two decades ago, I needed to spray a combination of chemicals including Isotox and Funginex, and mixing a spray tank tonic to prevent diseases common to roses. This regimen was repeated weekly throughout the growing season. 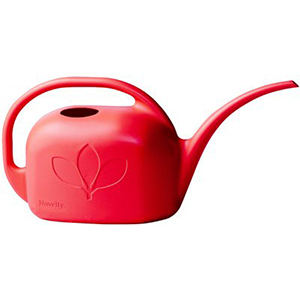 Today’s consumer needs only to mix a single product in a watering can and apply around the base of the plant to protect their roses from diseases. And the routine only needs to be repeated once a month. 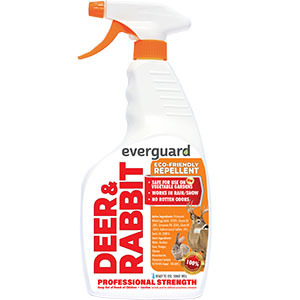 Even pest control in the home has changed to allow more time between sprays, effective for up to a year in some circumstances. 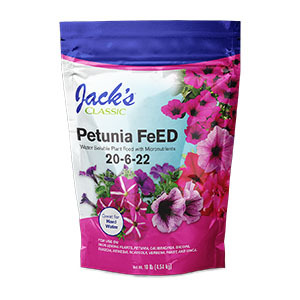 Fertilizer may also be a one-time application with time-released nutrients lasting up to nine months in the garden. During the late 1970s, plant breeders focused on developing plant varieties that needed less water, less maintenance and less care. The turf grass industry has benefitted from the development of better grass varieties that require less water and less fertilizer, and offer stronger disease resistance. Turf-type tall fescues have dominated the industry and reduced the popularity of Kentucky blue grass. Some additional turf improvements include: endophyte-enhanced seeds to reduce insecticide use, coated grass seeds to speed germination while using less water, and newer, broad-spectrum insecticides that are safer than previous chemistries. When the very first All-America Rose Selection of a “shrub” rose, Bonica, was introduced in 1987 by Conard-Pyle (now owned by Ball Horticultural Company), nobody predicted its impact would forever change the rose world. America wanted freedom from rose care and soon the Knock Out rose was introduced. Free flowering, maintenance-free and vigorous, Knock Out roses are top-sellers in today’s garden centers. 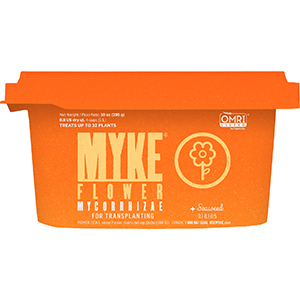 Time-savers exist in polymer water controls for planters, new planting media that contains mycorrhizae to quickly establish root systems and even composted materials. New technologies were developed for composting manures, so they won’t burn when used right away. Today, there are several compost options from which to choose from including chicken compost, buffalo compost and even lobster compost. Many Americans garden during the spring and summer holidays because they have the time to do so. 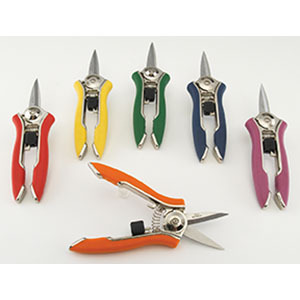 Here are some time-saver products that will allow your customers the freedom to do more in the garden. Spring’s first looks, following a long winter season, start with venturing out onto the lawn areas finally uncovered by the last glimpses of snow. Surveying the ground and seeing green is a welcomed sight. Or is it? 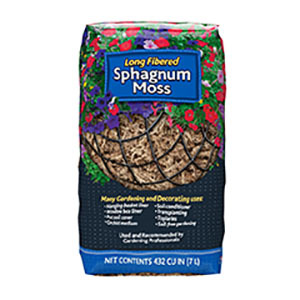 Moss is a common occurrence for many areas including lawns, sidewalks, fence lines, rooftops, siding, mulched beds and even bare ground. It grows to form a thick green mat that spreads and establishes itself by producing spores, which are spread by the wind. Moss thrives in many different conditions: The sun may or may not be relevant to where it can grow! Once a homeowner inspects their surroundings, they’ll likely see moss on the surfaces of many areas around the landscape and home. 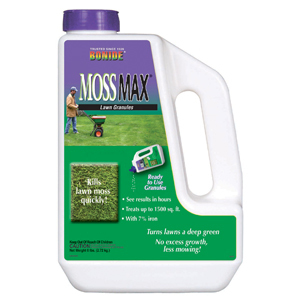 Consider all of the conditions that favor moss in lawn areas, including acidic soil, moist or wet soils, heavily shaded areas, poor drainage and even low soil fertility. Anywhere grass is difficult to grow and maintain is a possible area for moss to establish itself. Beautiful lawns are the result of common sense, good timing and known science. 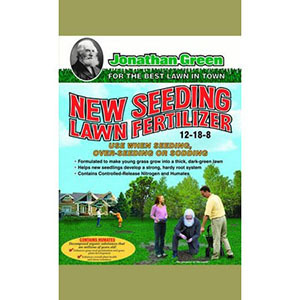 Consumers may think that it begins and ends with dumping fertilizer on the lawn a few times a year to make it green and the envy of the neighborhood. Truth be told, soil pH is key in determining whether the fertilizer used is being broken down and working with the type of grass in a homeowner’s yard. Most turf grasses like a pH in the 6.0-6.5 range, unless you live in the South and have centipede grass types, which like a slightly lower pH of 5.5. 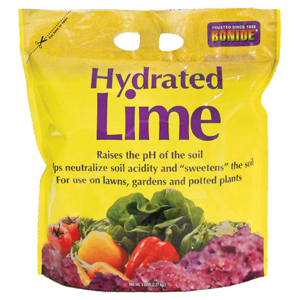 Correcting low pH in a lawn is done using lime in various types of particle sizes: pulverized, granular and pelletized. 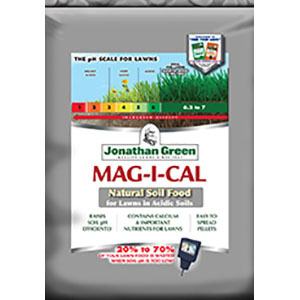 Another recommended product is from Jonathan Green, known as MAG-I-CAL, which uses a highly soluble form of calcium that helps raise pH quickly. Consumers are short on patience and want instant results. 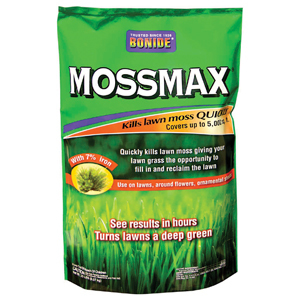 Moss controls are available in both granular and liquid applications from Bonide featuring their best seller, Moss Max Liquid Ready-to-Spray. 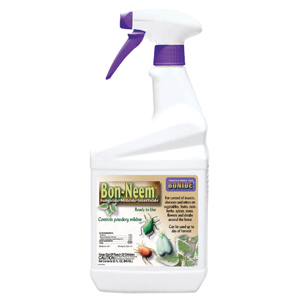 This product won’t stain walkways or damage desirable plant material. 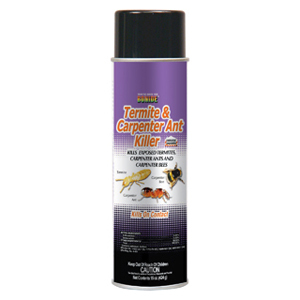 It’s safe to use on decks, patios, driveways, roofs, trees and lawns. 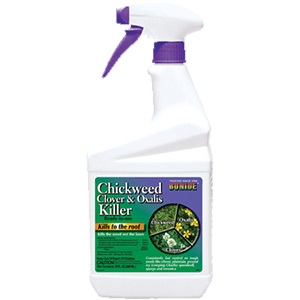 It works within hours to kill moss, and even lichens, safely. 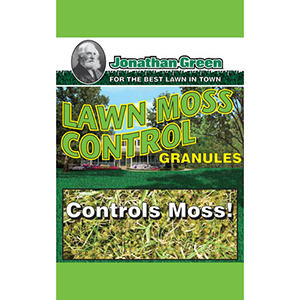 Both Bonide and Jonathan Green offer moss-control granules in their lawn care lineup. 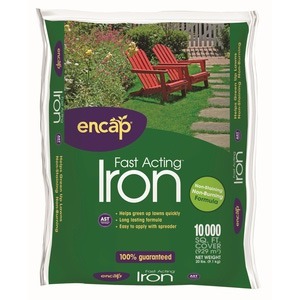 These are easily applied using a lawn spreader and contain no fertilizers to force excess growth in the lawn. Typically, lawns containing moss have another common issue: soil compaction. Without deep penetrating root systems of turf grasses, moss can readily establish on top of surfaces and not need much moisture to remain a nuisance all season long. Core aeration is recommended during the fall to break apart soil compaction and allow moisture and nutrients to break the tension in the soil surface. Using a grass seed mixture that contains Kentucky blue grass varieties helps drive additional roots that can fill in bare spots in the lawn. 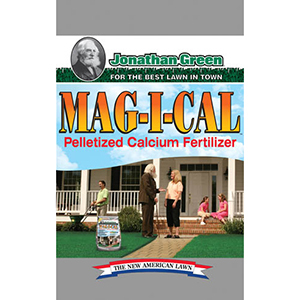 If you’re treating an area that remains wet and moist with dense shade conditions, one product does an excellent job in growing grass where others fail. 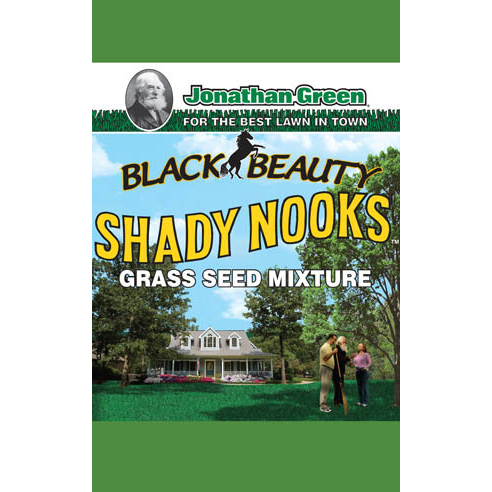 Jonathan Green Shady Nooks grass seed contains a variety of grass seed that excels in establishing itself in poor, moist, shady conditions. 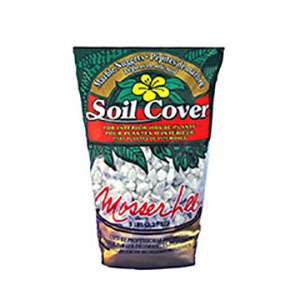 The type of seed is Poa trivialis, which is easy to grow and maintain. 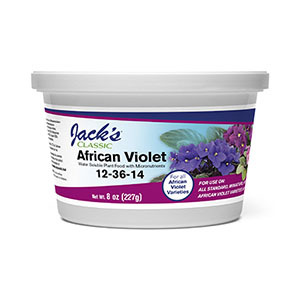 If you don’t have a mixture that contains this varietal type, you should plan to buy it and sell it to your customers. Another seed in the mixture is hard fescue, which grows well in dry, shaded areas. 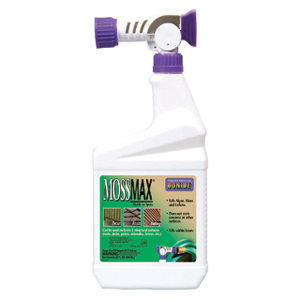 You can tackle the toughest problems for moss control with just a few great items! 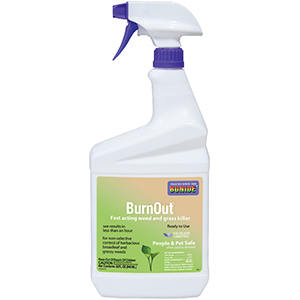 Are your store shelves stocked with these solution-based products? Give them a try this season. Your customers will be happy you did! Watch It... It's a Trap! Caught with Your Plants Down? Put on Those Rose-Colored Glasses!